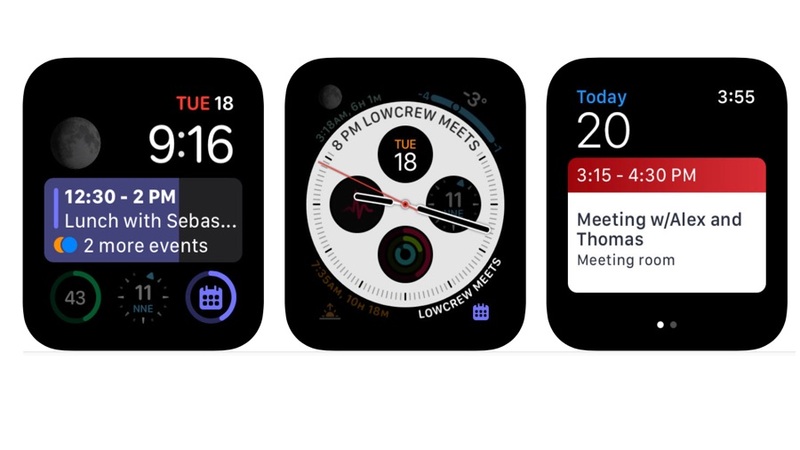 Now, the Apple Watch is onto its fourth generation, and the aptly-named Apple Watch 4 is proving pretty popular – so that&apos;s why you&apos;re probably here checking out the new apps. 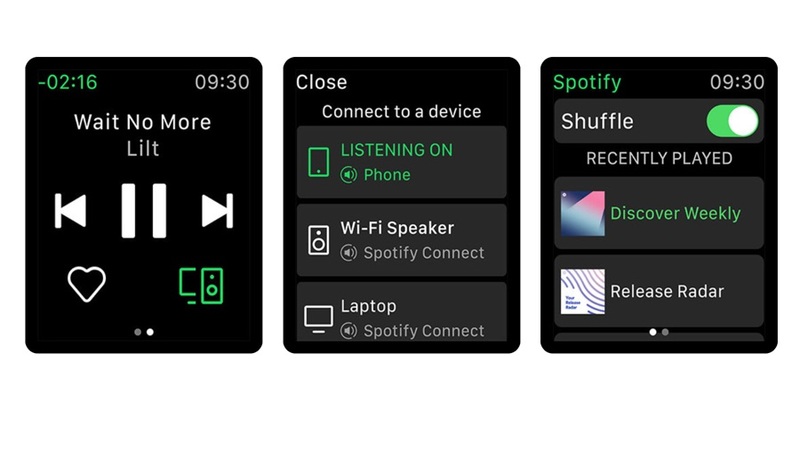 In fact, it&apos;s one of the best smartwatch options out there, and now we&apos;re at the fourth generation it&apos;s becoming a particularly accomplished smart option for your wrist. 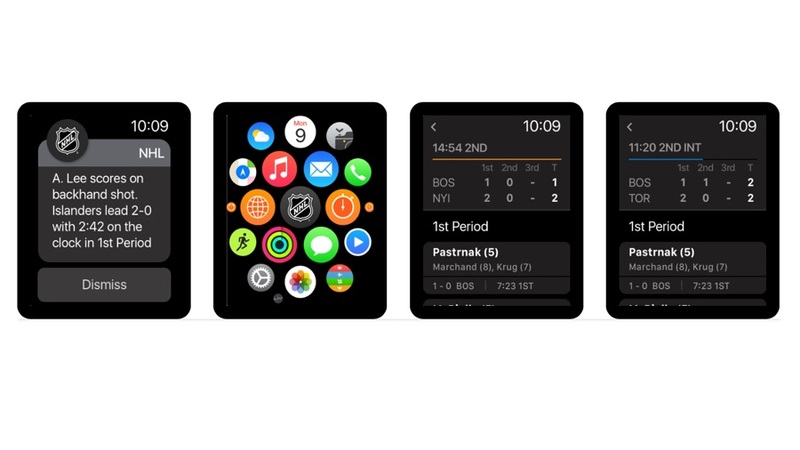 Before you get into our list remember to head into the Apple Watch main app on your iPhone – that&apos;s where you&apos;ll see a list of the apps already installed on your phone that can also be transferred to your Watch. 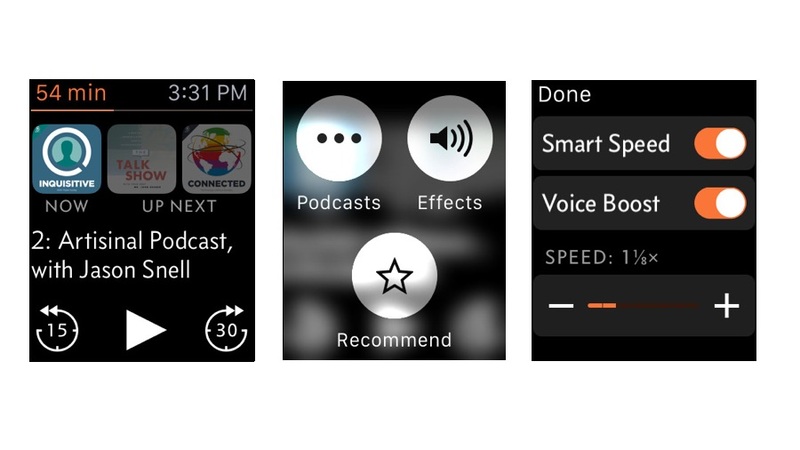 If you see any you like the look of here, you&apos;ll need to download them to your iPhone first. And make sure to check this article weekly, as we&apos;ll add a new app each week, highlighted below. 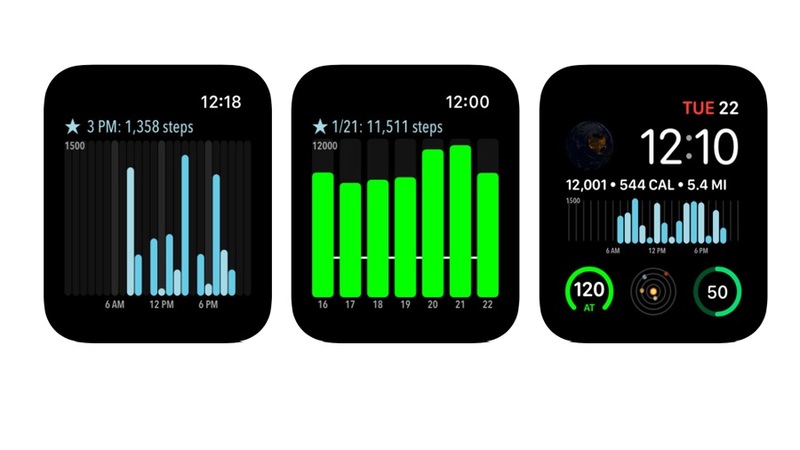 There&apos;s no denying that the main thrust of the Apple Watch since the second model is for fitness: it&apos;s packing GPS, heart rate, water resistance and improved sensors to make the most of the fact people like to work out with this thing – it even connects to gym equipment. 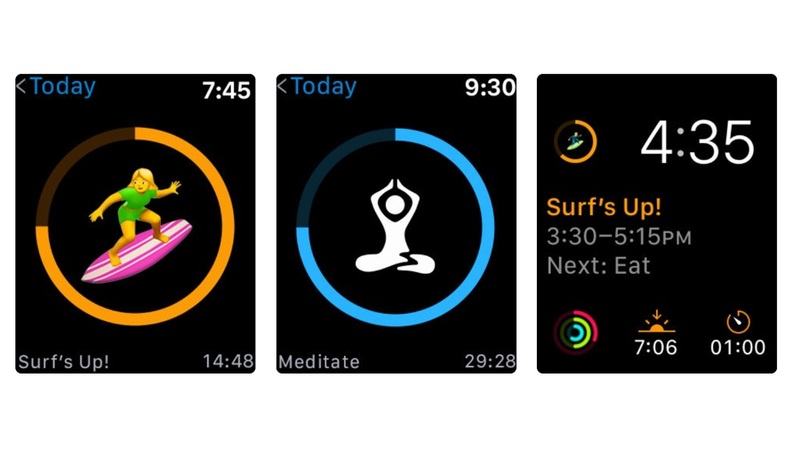 This list of Apple Watch fitness, running, wellbeing and health apps are nearly all must-have – if you&apos;re going to do one thing with your new Watch, use it to become a healthier you in mind and body. 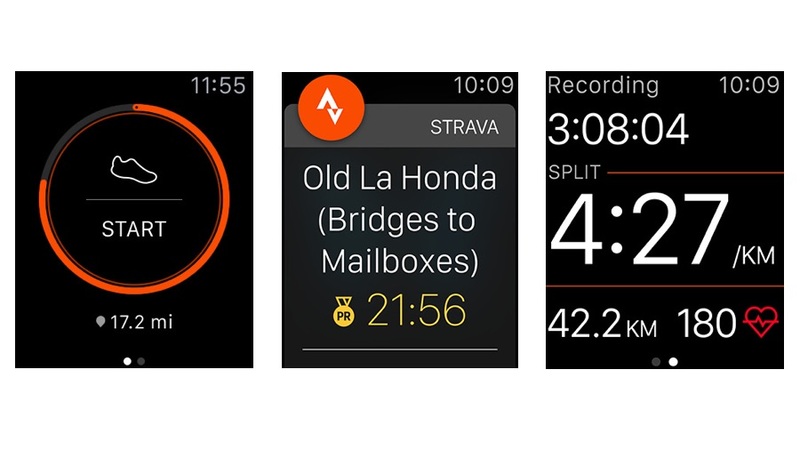 The main app is free and offers essential features including distance, pace, speed, elevation and burned calories, and there’s a premium service for $5.99/£5.99/AU$9.99 per month or $59.99/£54.99/AU$89.99 per year that offers more detailed post-exercise analysis, live performance feedback and personalized coaching – although not through the Watch. 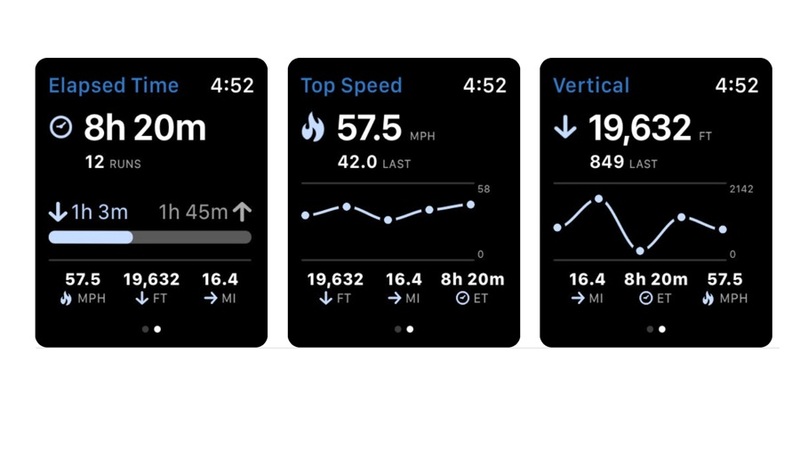 However, if you have a second-generation Apple Watch (Apple calls it the Apple Watch Series 2) then you can take it into the pool – and that makes MySwimPro a much more useful application. 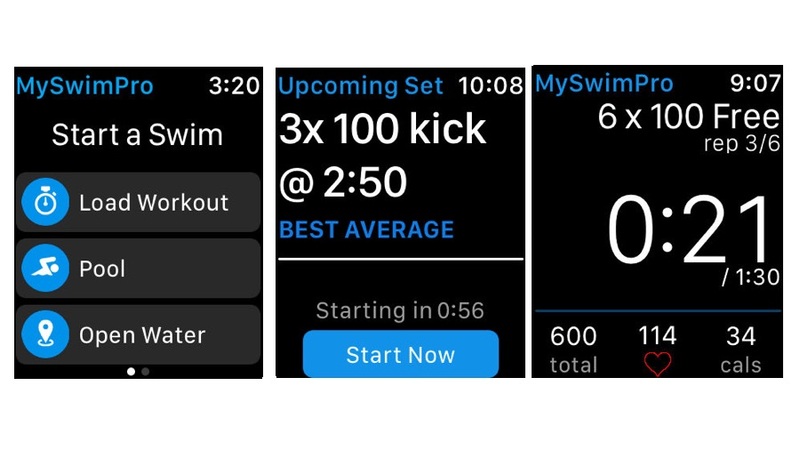 You can log your workouts while you’re still in the water, and you can also follow the app’s workouts to set goals and monitor your heart rate during your swim. 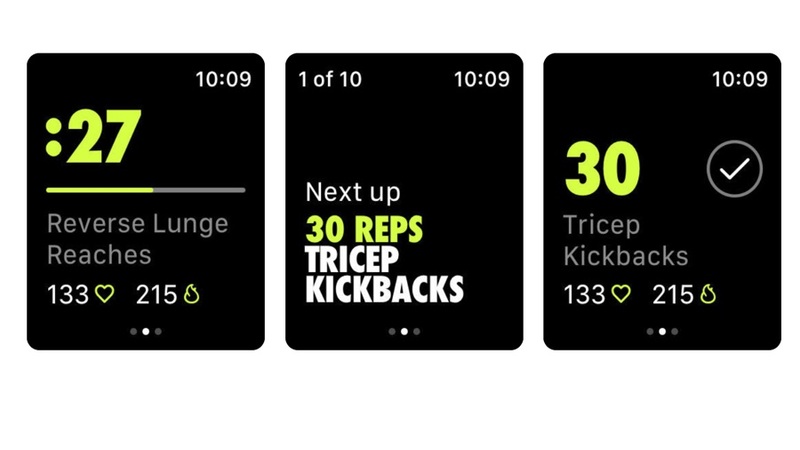 You can share your triumphs online, or you can just watch videos showing how other swimmers do particular types of workout. 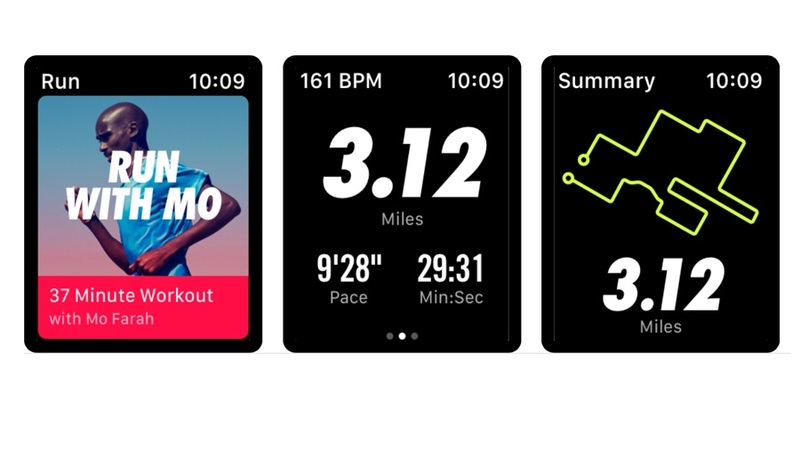 It’s probably overkill if you only do the odd couple of laps at the gym swimming pool, but if you’re serious about swimming it&apos;s worth wearing on your wrist. 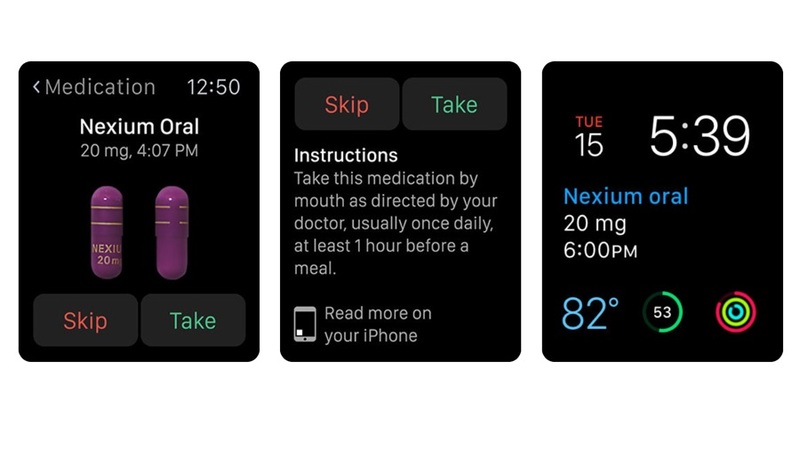 It won’t work without the Health app installed – that’s the route by which it gets its data – but you can also import data from other health apps if you use other kinds of connected health monitors. We’re not convinced by the supposed science of brain training – it’s a sector that makes bold claims based on very flimsy evidence – but there’s no doubt that spending time learning or practicing useful things is better for you than mindlessly swiping through trivia on Twitter. If you could do with a boost to specific skills – working out restaurant tips, perhaps, or improving your vocabulary – then you might feel that’s well worth the money. 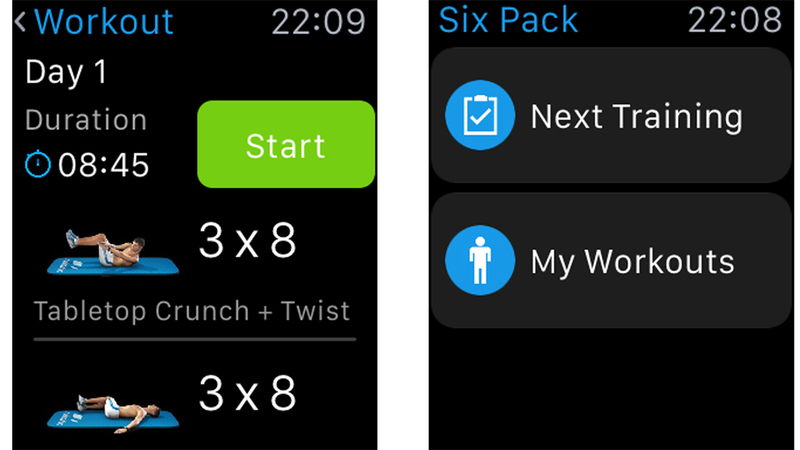 If you&apos;ve been meaning to get that six-pack tummy but just don&apos;t have time to go to the gym, this iPhone app has high-quality videos of avatars performing crunches, situps, stretches and core twists that you can do in your own time on your bedroom floor, say. 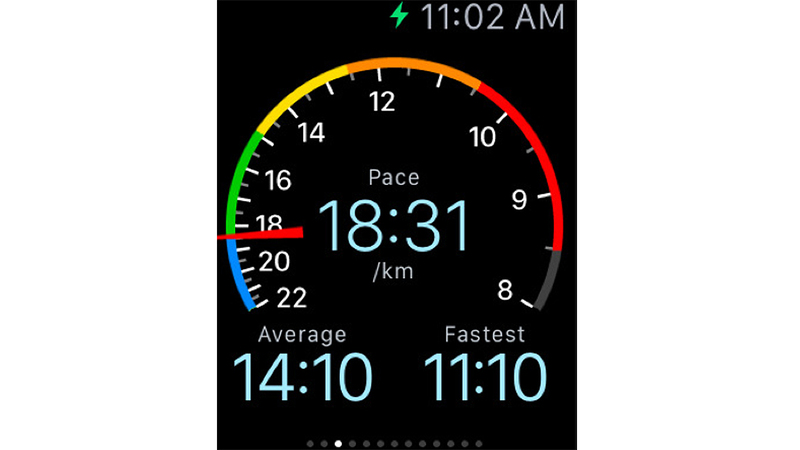 Initial workouts with Runtastic are free, more come as in-app purchases. 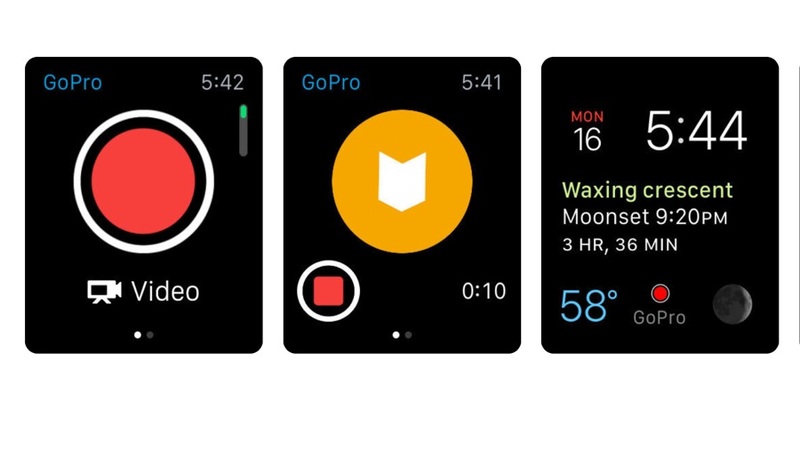 And if squinting at your precariously perched iPhone isn&apos;t doing it for you, the Watch app means you can see an animation on your watch, with vibrations on your wrist to start and end a set. It&apos;s easy to use and works well. 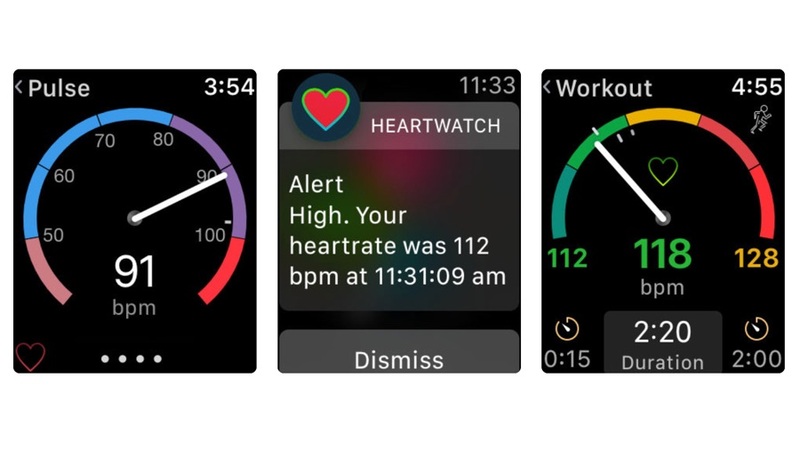 Now you&apos;ll have to find another excuse not to work out. 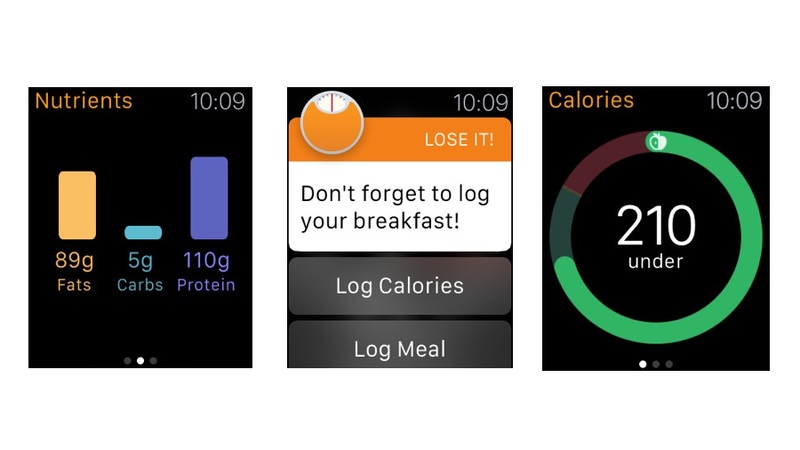 Information is power and if you&apos;re trying to lose weight, calorie tracking is a good way to stay focused. 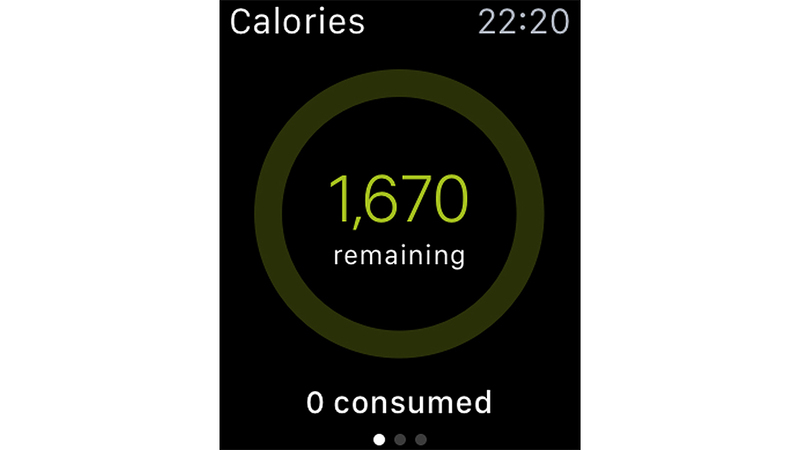 MyFitnessPal works out a daily calorie allowance based on how much weight you want to shed. Eat a meal and your allowance is spent, take exercise and you earn credit. 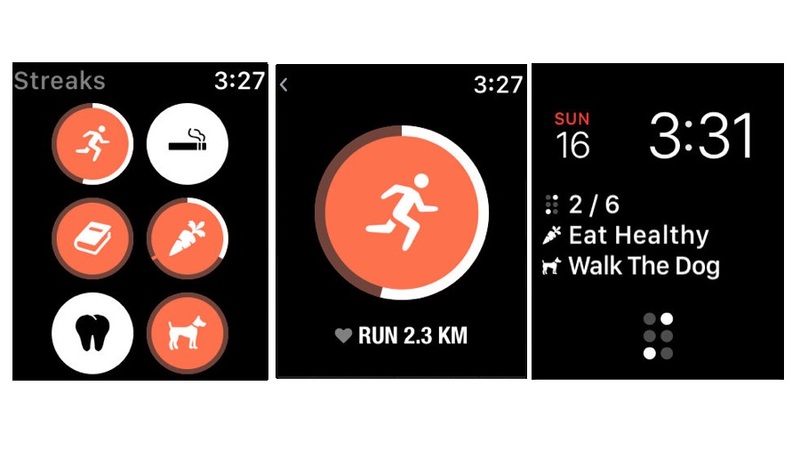 The Watch gives you a running total of remaining calories and how that breaks down into protein, carbohydrates and more. 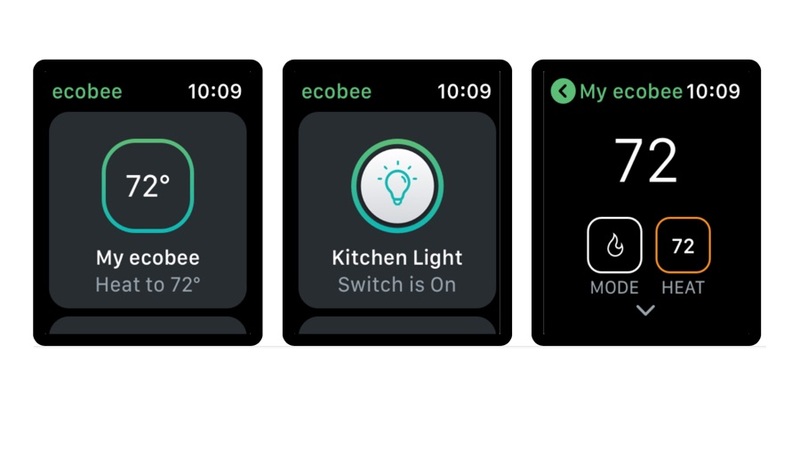 It can integrate with your steps total so you don&apos;t have to add those manually. It&apos;s simple but convenient and helpful. 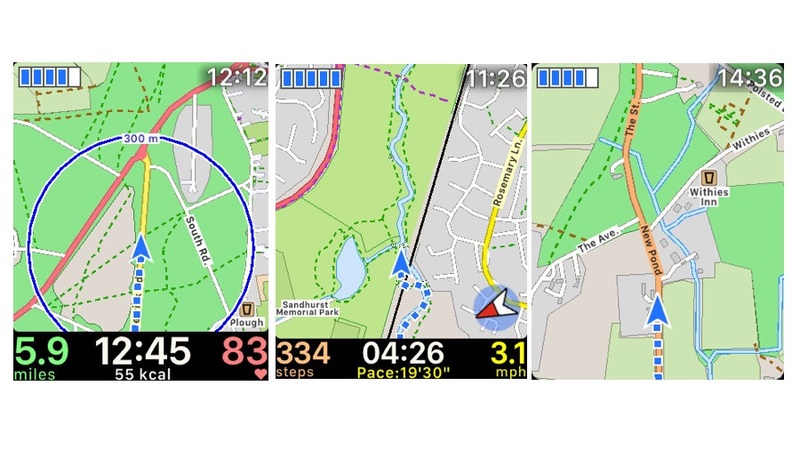 If walking&apos;s your thing, Walkmeter helps track your every step, showing your perambulations on a map and generating detailed graphs. 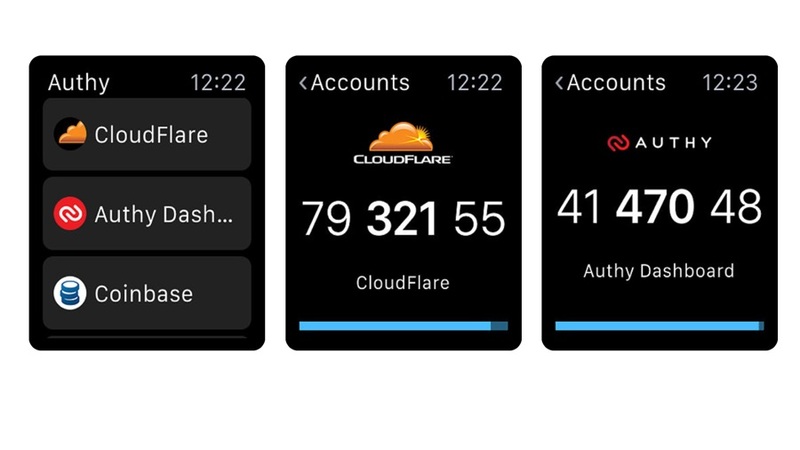 The Watch app has clear data reporting and you can start and stop a walk from your wrist using the Watch&apos;s Force Touch actions. 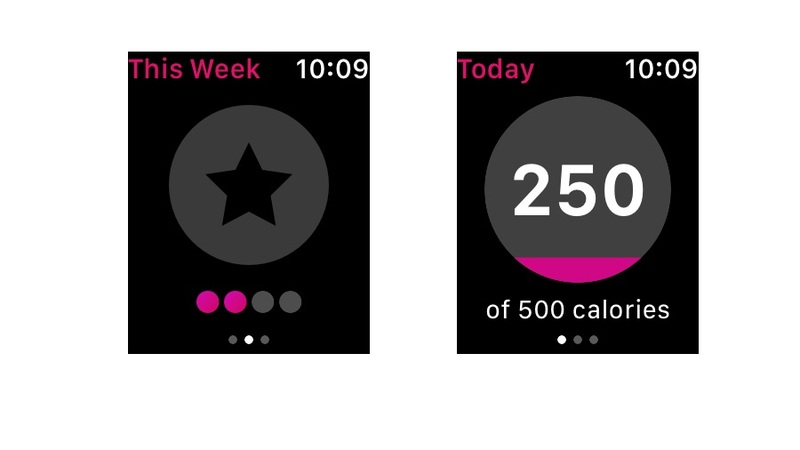 Apple&apos;s own Workout app does a lot, but this app has more detail and the mapping detail on the iPhone is great. 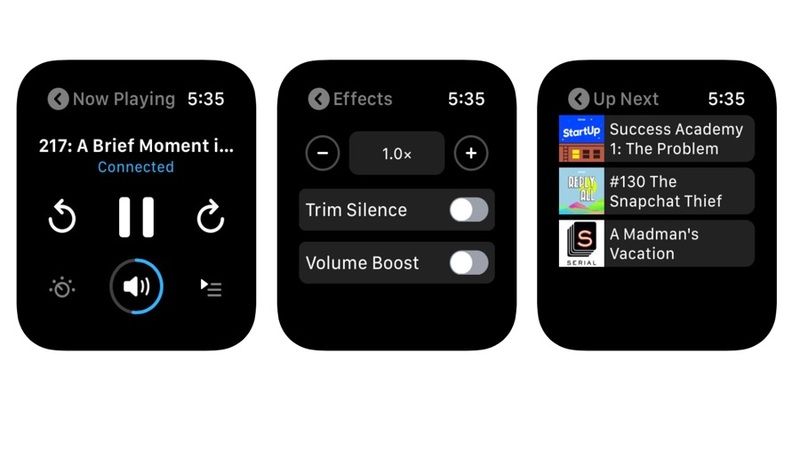 The app is free but for full Watch performance you need to upgrade to the Elite version for $9.99/£9.99/AU$14.99. There&apos;s a lot here, including training plans and announcements as you hit targets or distances. 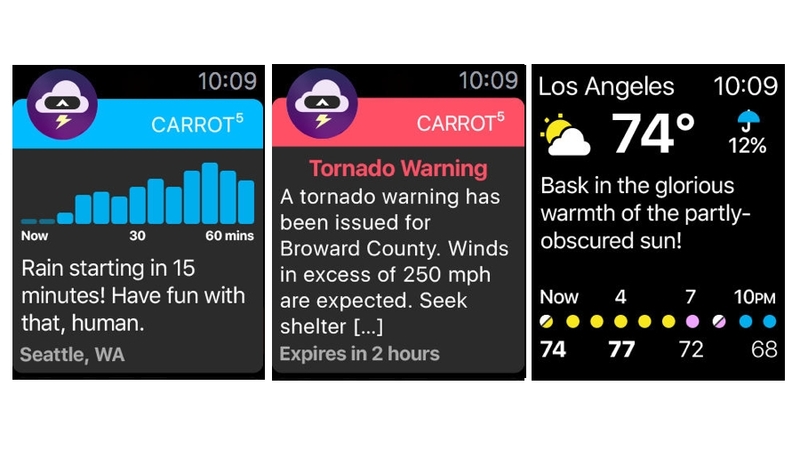 You may know CARROT from its weather app, which combines Dark Sky-style weather forecasting with sarcasm and lies. 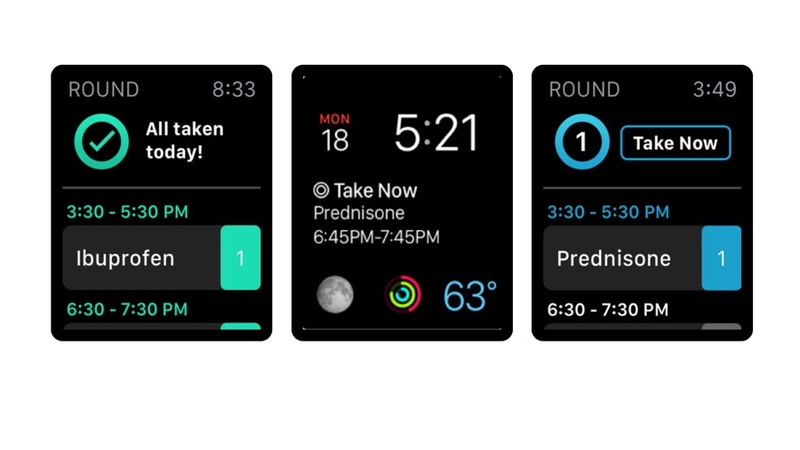 But CARROT wants to make you unhappy in many other ways – and what’s better for a sadistic AI than being in control of a fitness app? CARROT promises to “get you fit – or else”. 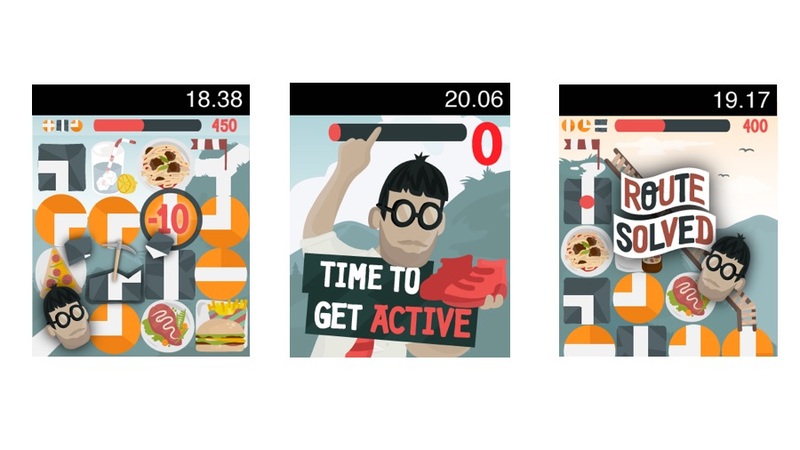 To achieve that it offers a dozen punishing exercises (more are available via in-app purchases) accompanied by threats, ridicule, bribes and the occasional compliment. 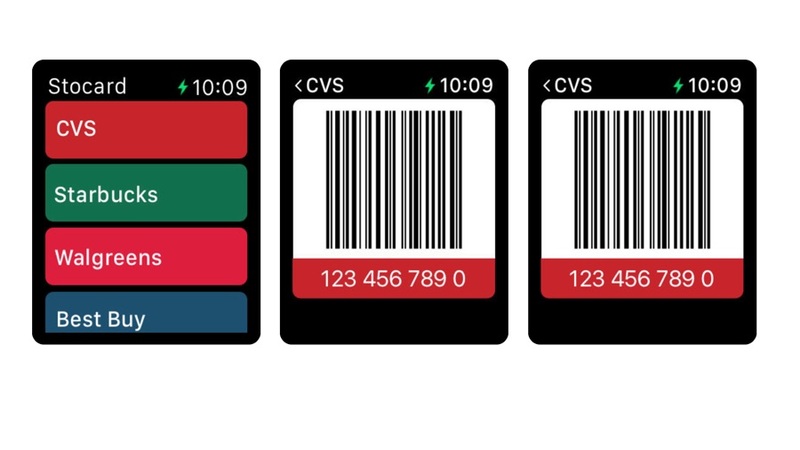 The Apple Watch app doesn’t replace the phone app completely – for example, you’ll need your phone handy if you want to use the barcode scanner to automatically record what you’re eating, and the team-based features such as group challenges are phone-based – but it’s a great way to focus on your goals, monitor your progress and keep your motivation no matter how sorely tempted you may be. 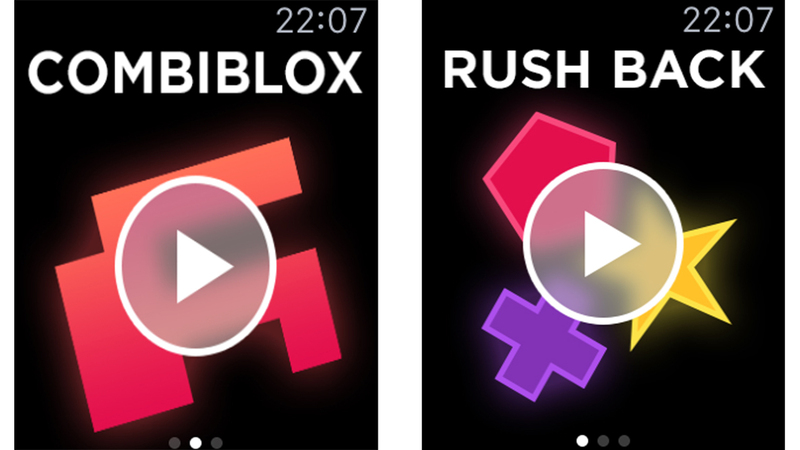 It’s bright, breezy and a bit brash, and we suspect it’s best suited to older children rather than grown-ups – although if you do give this one to the kids you might want to disable in-app purchases, as they can be used to buy in-game items. 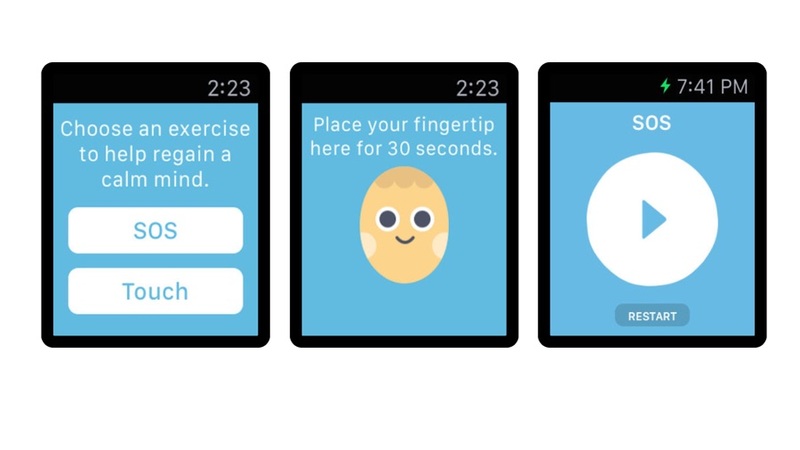 The app itself is free, but it’s designed as a gateway to paid-for mindfulness courses. If you don’t go for them you can still take advantage of the app, though. 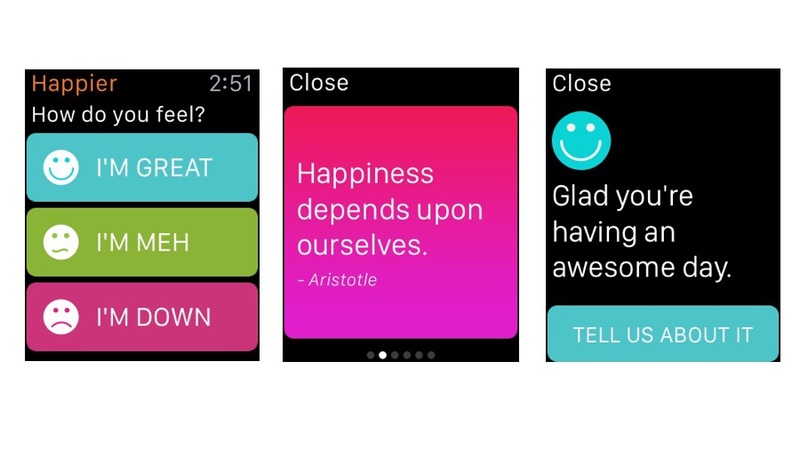 You can tell the app how you’re feeling – we suspect “meh” is the most-used option – and it then responds with uplifting quotes to help you feel a bit more optimistic. 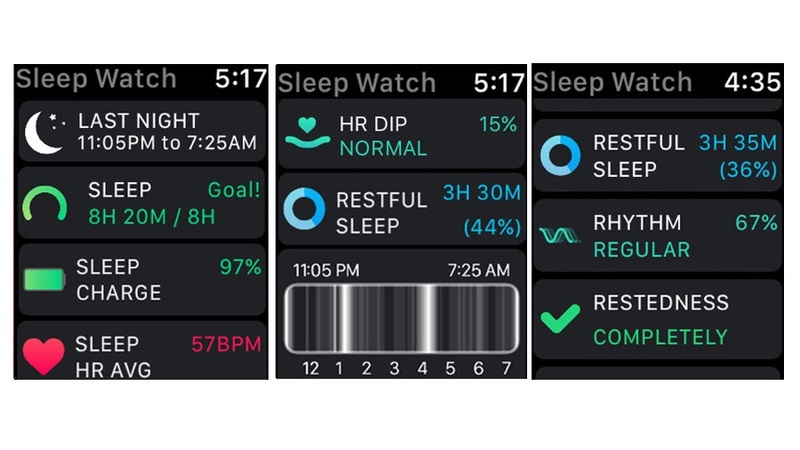 It&apos;s worth noting that there aren&apos;t a lot of apps for sleep tracking, as the Apple Watch can&apos;t really last overnight on battery. 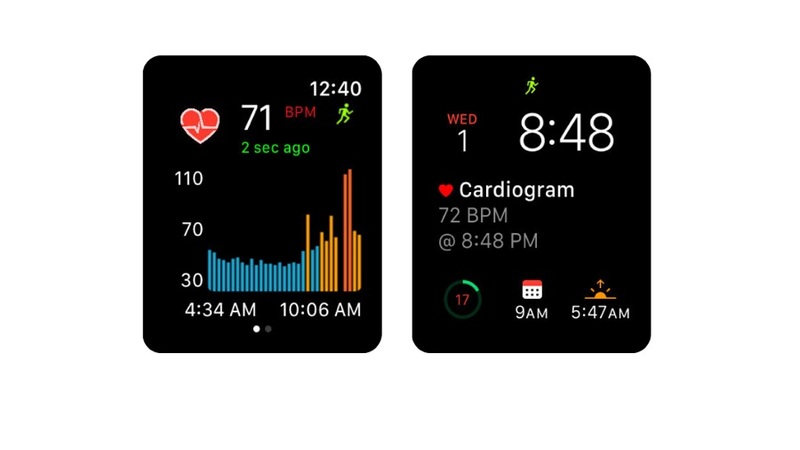 That said, there are some clever apps to do it, and many people are now on their sequel Apple Watch and can even have one for the day and one for the night – so sleep tracking with your &apos;Night Watch&apos; is possible. 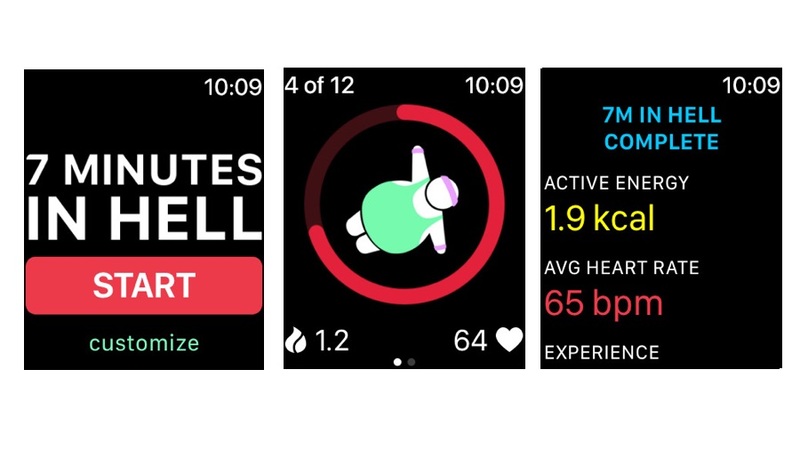 It offers daily sleep briefings (we’d love an abusive CARROT-style AI for the days when the report clearly says we’re knackered) and trend analysis, and it highlights whether your heart rate is dropping normally during rest – a potential warning sign if it isn’t. 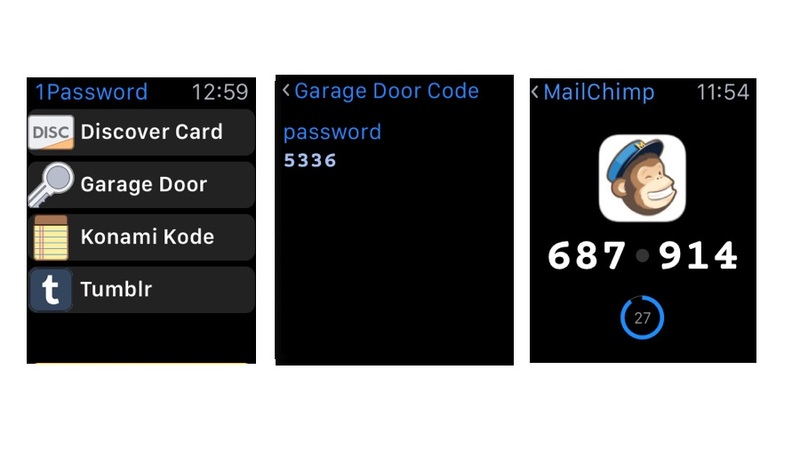 While using Apple’s Watch as a remote control or viewfinder can be handy – we can’t be the only ones who use it to see what’s on top of cupboards or to read the meters when there’s loads of stuff between them and us – the app has always felt as if it could do more. That’s where Camera Plus comes in. 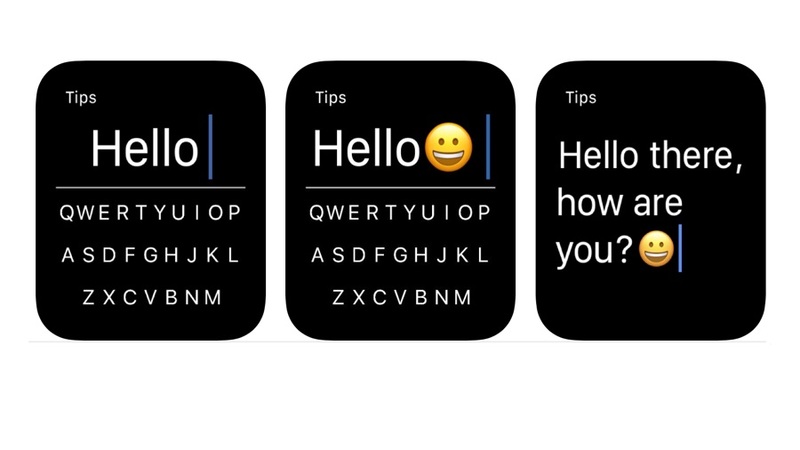 On the face of it, and by face we mean Apple Watch face, Drafts doesn’t seem to offer much for six quidbucks: it enables you to dictate text and save it for later. But it turns out that it does an awful lot…it just does it in a really simple way. 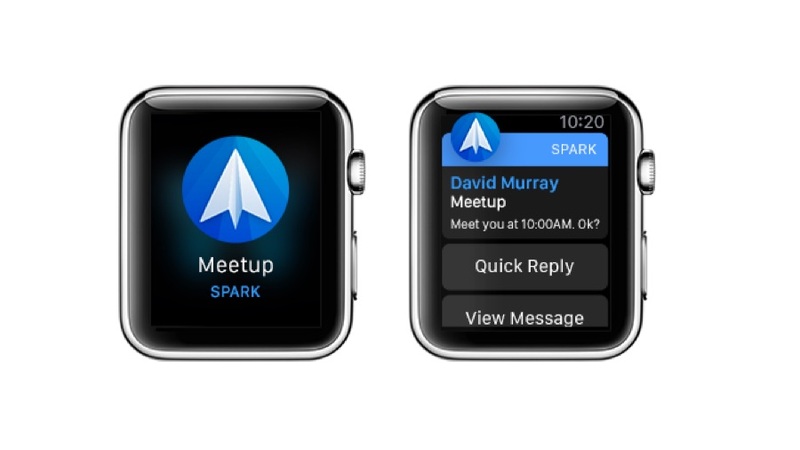 Bringing Drafts to the Watch makes it even faster. 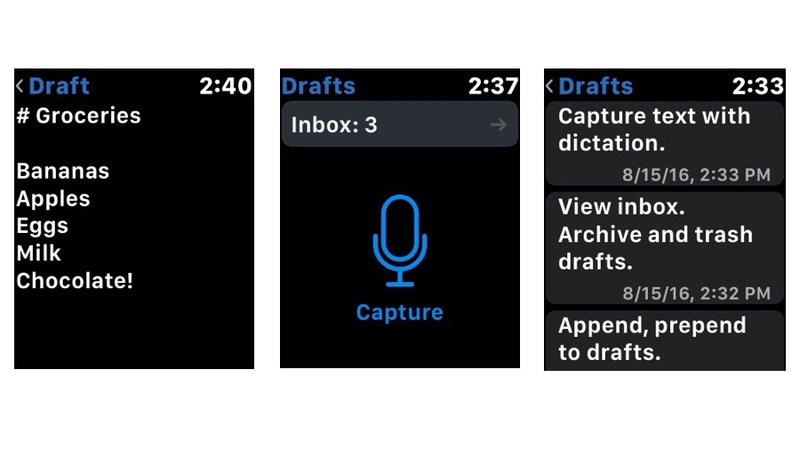 Tap on the microphone icon to capture and it does just that – but it also enables you to add to existing drafts using either your voice or the Scribble input, which means it’s brilliant for those moments when you think of something really clever to write or something you’d missed from your to-do list. 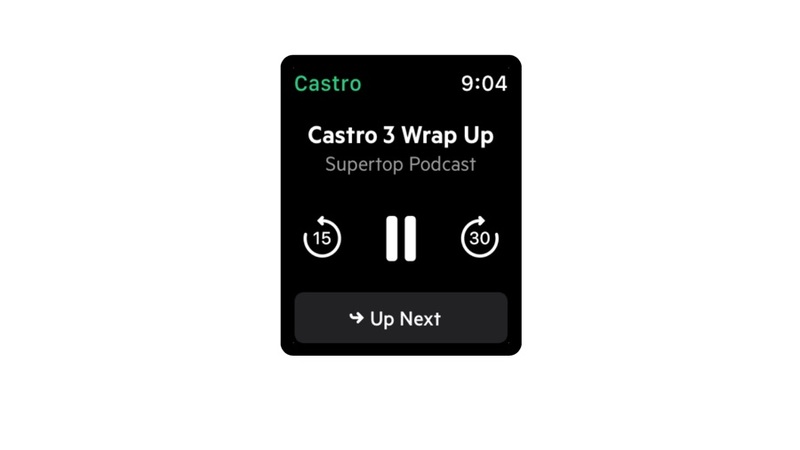 It’s the kind of app you’ll quickly learn to love. 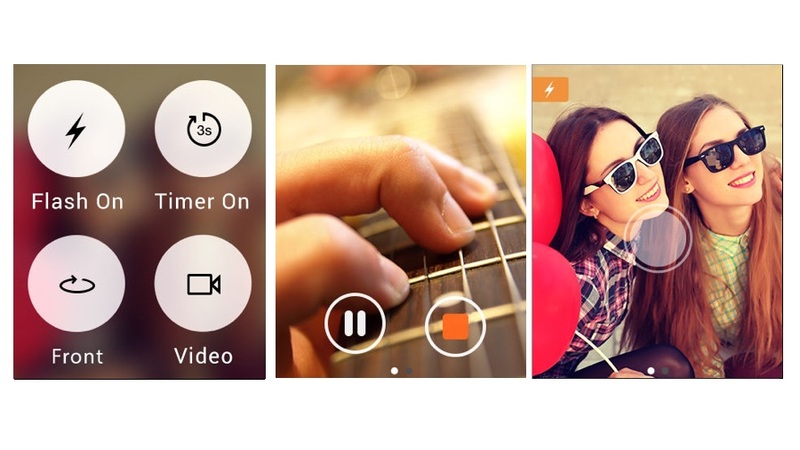 The interface is just a big red button with a picture of a microphone on it, and as you might expect you tap it to start recording. 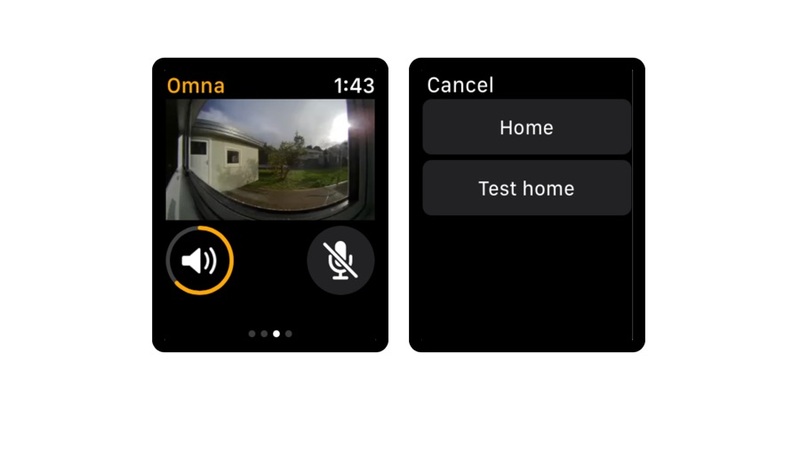 The phone app can transcribe your recording to turn it into text – which means your recordings become searchable by keyword – and it recognises formatting commands such as “new paragraph” and “comma”. 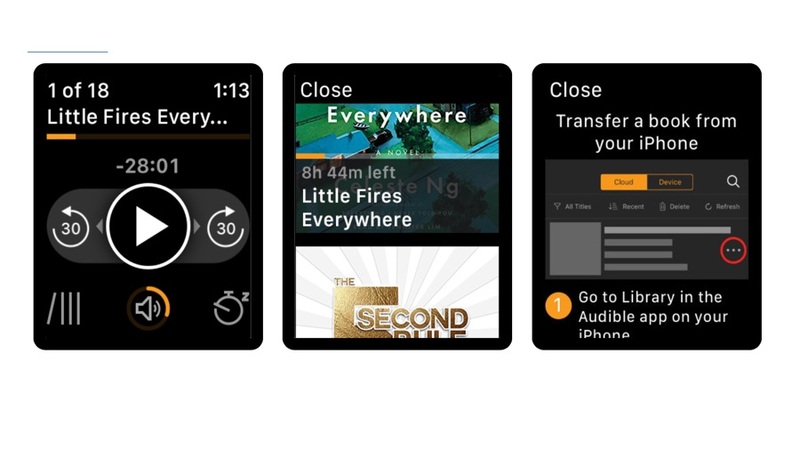 In addition to its recording and transcription features, the app syncs automatically via iCloud, so you can access it on all your devices – including macOS, for which there’s a separate app – and it uses the Watch’s own local storage so that you can record even if your phone isn’t currently connected. 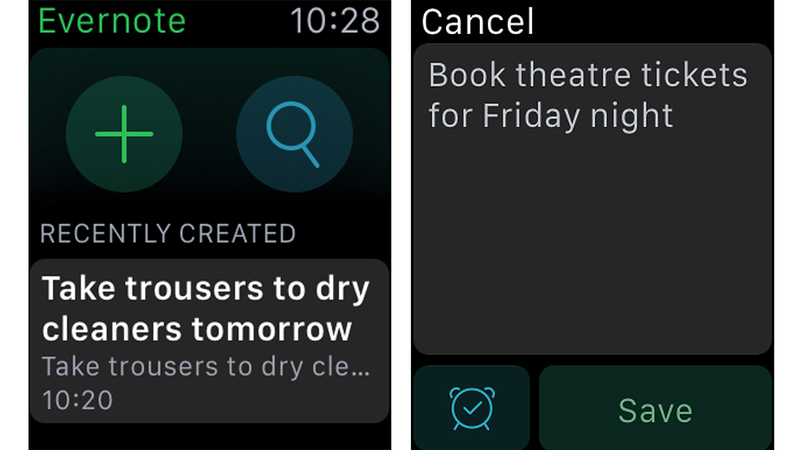 You can dictate new notes for those brilliant ideas you mustn&apos;t forget just by tapping the Plus button or Force Touching the screen. 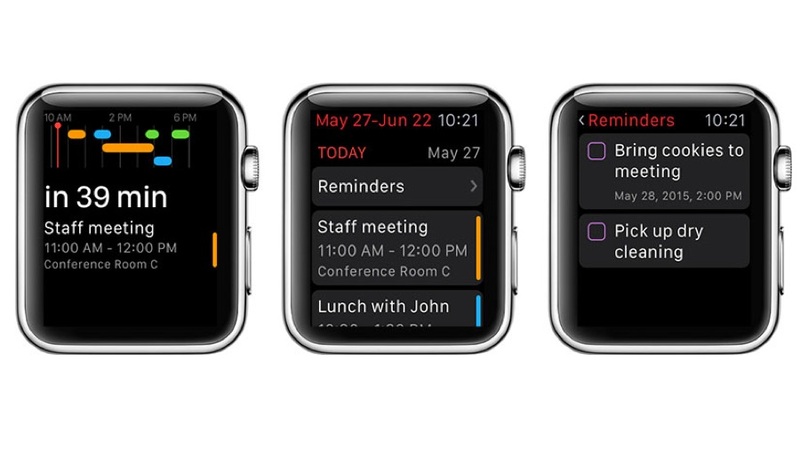 The Watch app can search existing notes using voice – though this wasn&apos;t as reliable as I&apos;d have liked. Even so, if you&apos;re an Evernote fan it brings an extra level of convenience. 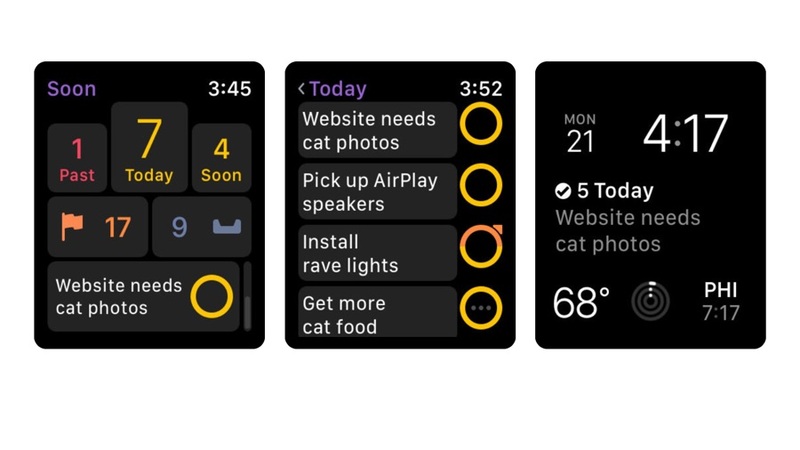 And that’s pretty much all it does – and that’s all it needs to do, because any watch screen is poorly suited to complex tasks. 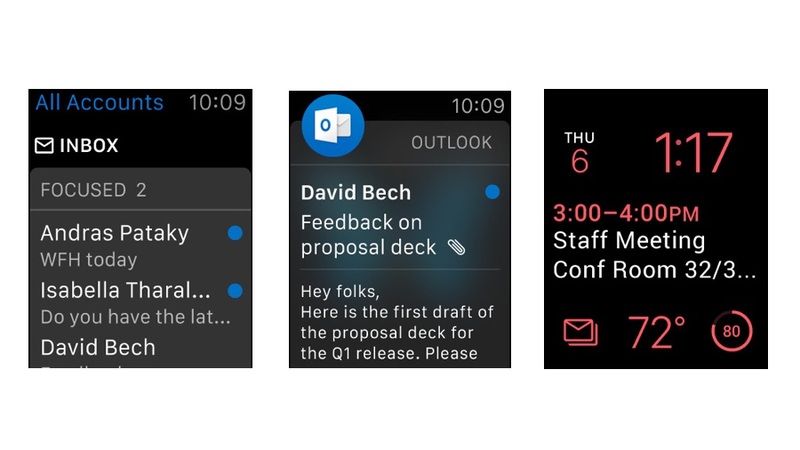 We’d much rather have speed and simplicity than any ill-conceived bells and whistles. 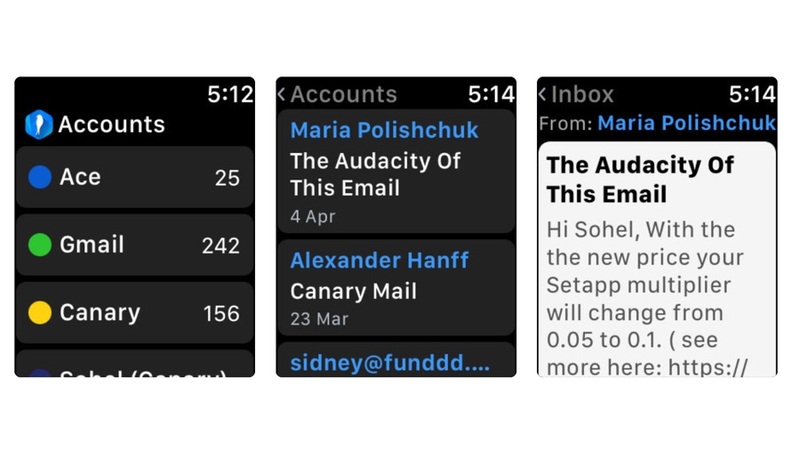 The bulk of the action – scheduling events, seeing your entire schedule and so on – happens on your iPhone, and the Watch app has been designed as a companion rather than a replacement: it tells you what’s coming up rather than trying to replicate the main app’s functions. 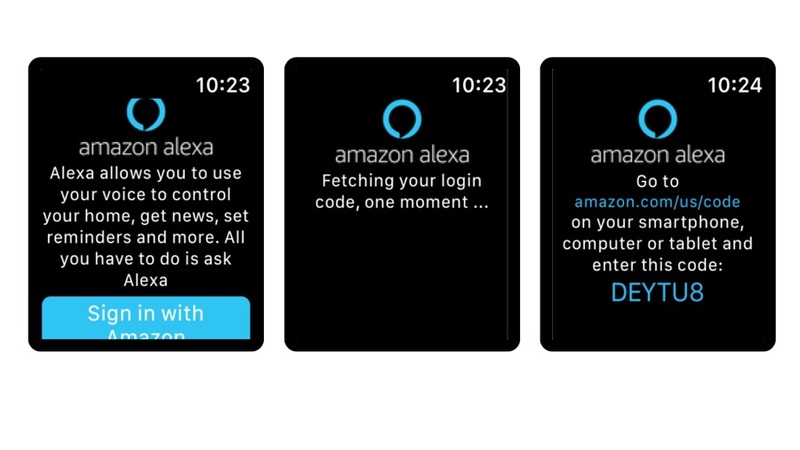 Knock is a simple idea brilliantly executed. 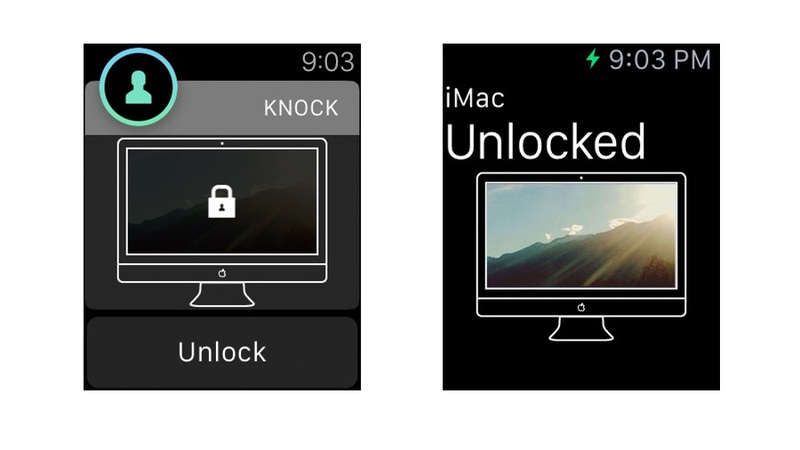 Provided your Mac is of relatively recent vintage – an Air from 2011 or better, a MacBook Pro or iMac from late 2012, a 2013 or later Mac Pro and so on – you can use Knock to automatically unlock your Mac or Macs by tapping the Apple Watch app. 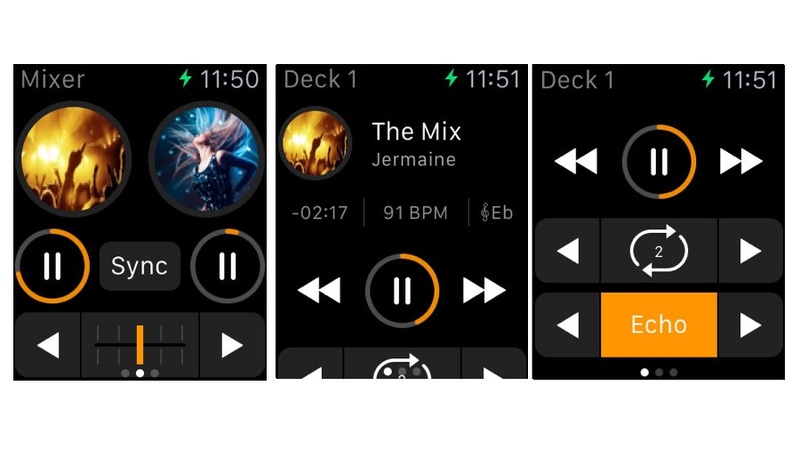 It’s connecting via Bluetooth Low Energy – hence the reliance on relatively recent Macs; older ones don’t have Bluetooth LE – which uses tiny amounts of energy, so you don’t need to worry about the app killing your Watch’s battery any more than usual, and it works instantly if your Mac isn’t in sleep mode. 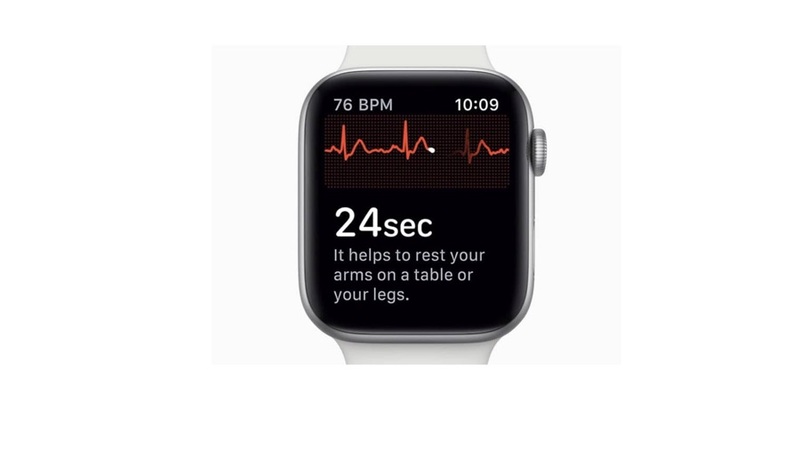 It’s hardly a must-have but it’s actually very handy, so for example we’ve seen users tracking how often they smoke during the day or how many glasses of water they’ve had. 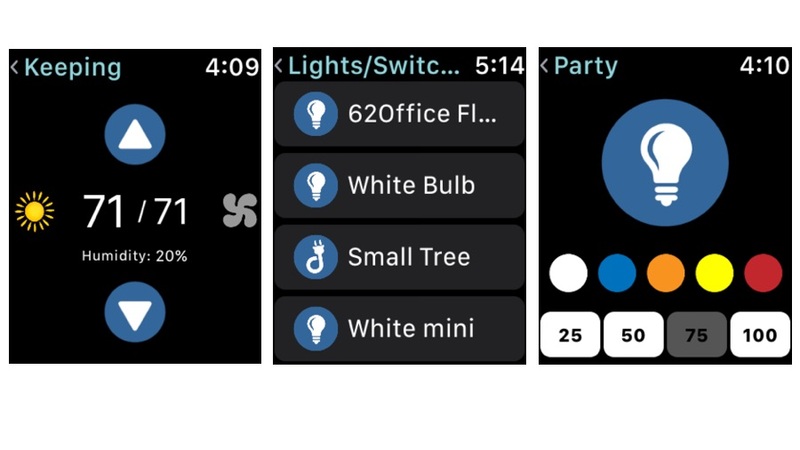 We wouldn’t recommend using it for counting sheep, though – or at least, not on the first-generation Apple Watch, whose battery isn’t really up to working nights. 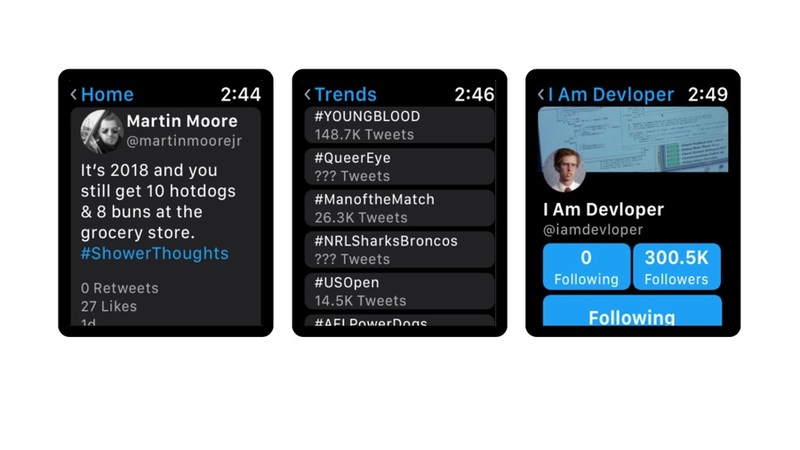 You’d think Twitter’s brevity and the Apple Watch’s usefulness would be a match made in Heaven, but Twitter isn’t interested in maintaining an official Watch app and our favourite iPhone Twitter app, Tweetbot, is very limited on the Apple Watch. 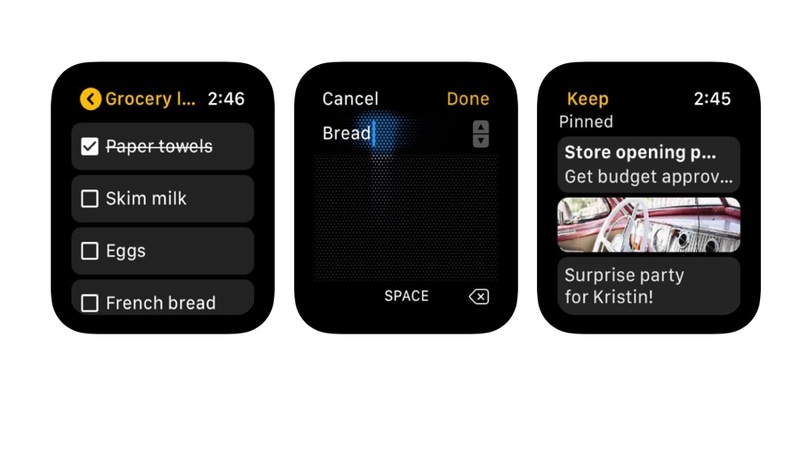 Enter Chirp, which promises to bring all the features you need to your Watch – and unusually, it does so without playing second fiddle to an iPhone app. 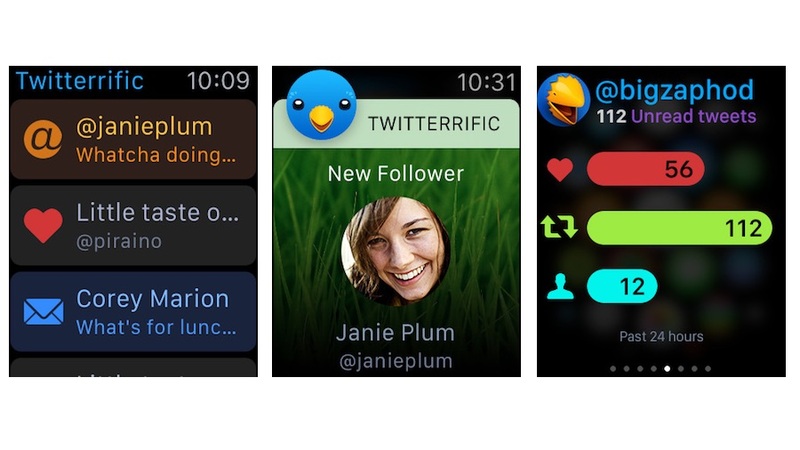 Chirp was designed purely as a Watch app. You can initiate and reply with a thumbs up (which I see as kind of curt and rude) or dictate a reply. Sending Facebook&apos;s ugly smiley face or your current location can be done with the press of one or two taps too. 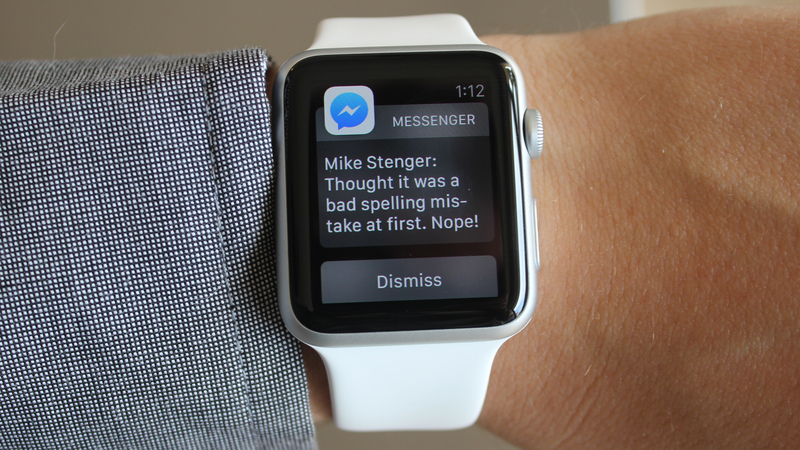 No, there&apos;s still no WhatsApps for Apple Watch, but this is the next best thing from Facebook. 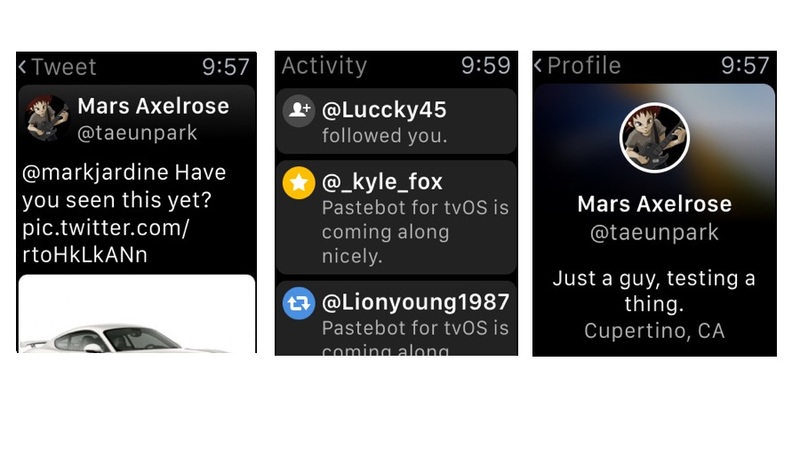 Tweetbot doesn’t unleash the Twitter firehose onto your wrist – we can’t think of anything guaranteed to kill your battery more quickly – but it does give you exactly the information you need when you aren’t looking at your phone. 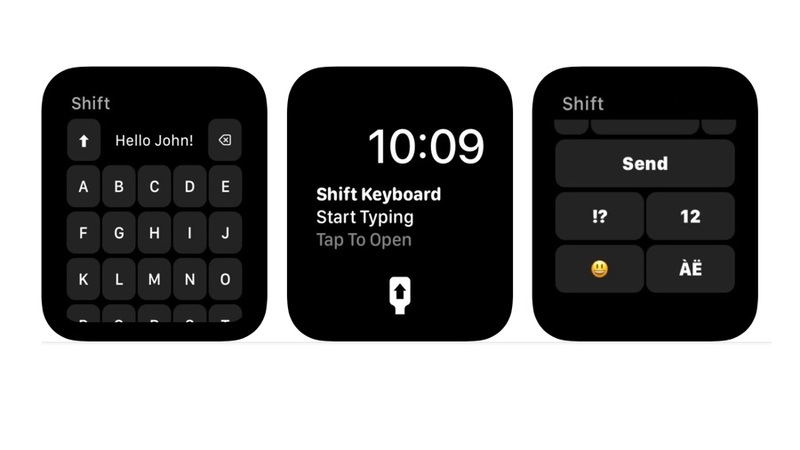 If you push into the screen using Force Touch you get an offer to create a new tweet, and both it and the reply option use Siri for dictation, because on-watch typing would be frankly horrible – and you can dictate a direct message or follow/unfollow accounts from the app too. 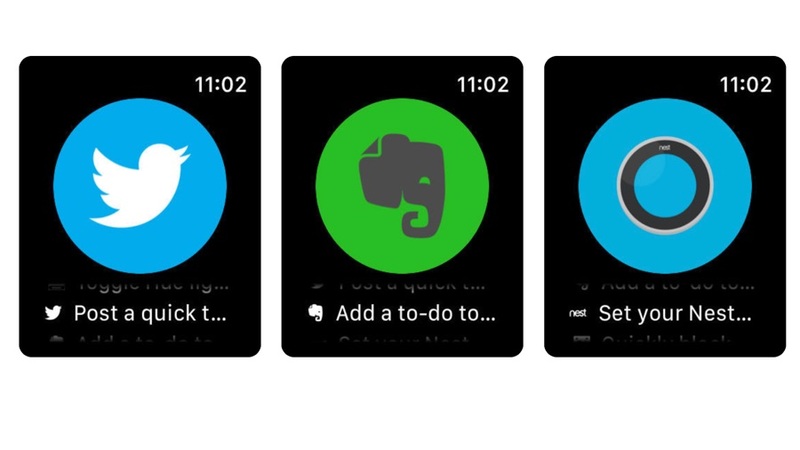 We’d recommend keeping notifications to an absolute minimum unless you only follow a few people – Twitter can be incredibly noisy when you follow and/or are followed by lots of people – but the Watch app is a great way of staying on top of Twitter while you’re out and about. It also reduces the risk of picking up your phone and thinking “while I’m here I’ll just check…” and losing hours to trivia. And now they’re back! Back! BACK! 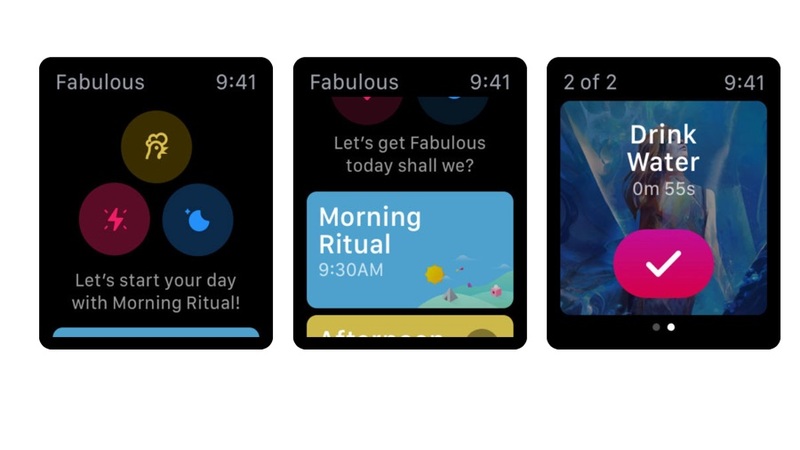 And this time, they’re on your wrist – which is fitting, because Tamagotchi is apparently a portmanteau of the Japanese words for egg and watch. 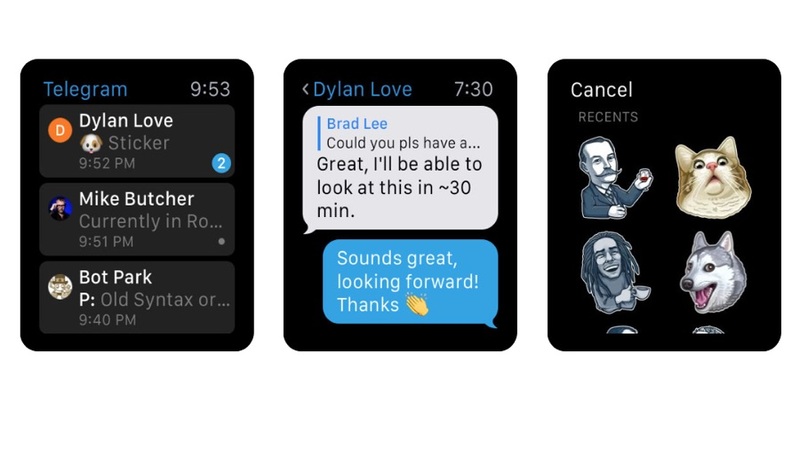 If you’ve never used your watch to raise a virtual pet, here’s your chance. 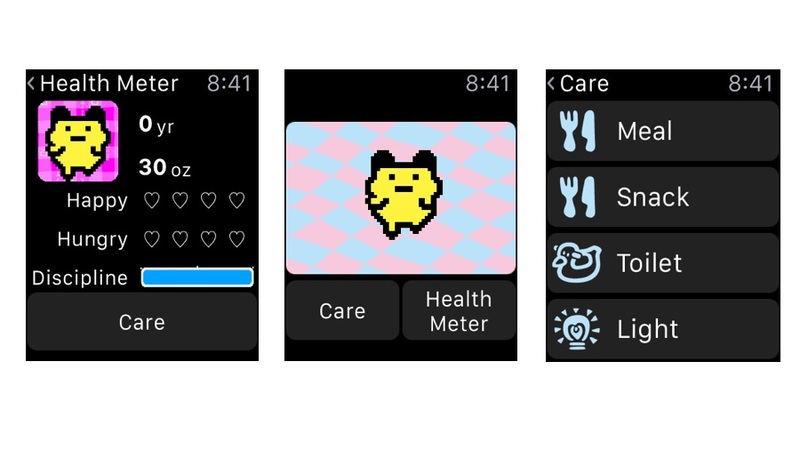 This app is the Tamagotchi L.i.f.e Gen1, and it uses the Apple Watch in several ways: when your Tamagotchi wants your attention it’ll pop up on your wrist, you can monitor your Tamagotchi’s health, and you can carry out care actions – such as feeding it a meal or making it go to the toilet. 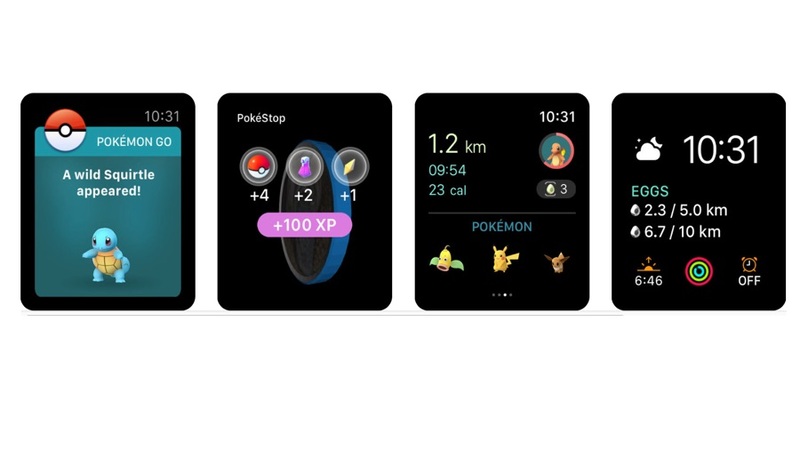 It’s spectacularly pointless, of course, but it’s also pretty cute and faithful to the original toys – so it’s an app for rose-tinted spectacle wearers as well as for people who’ve never encountered Tamagotchi before. 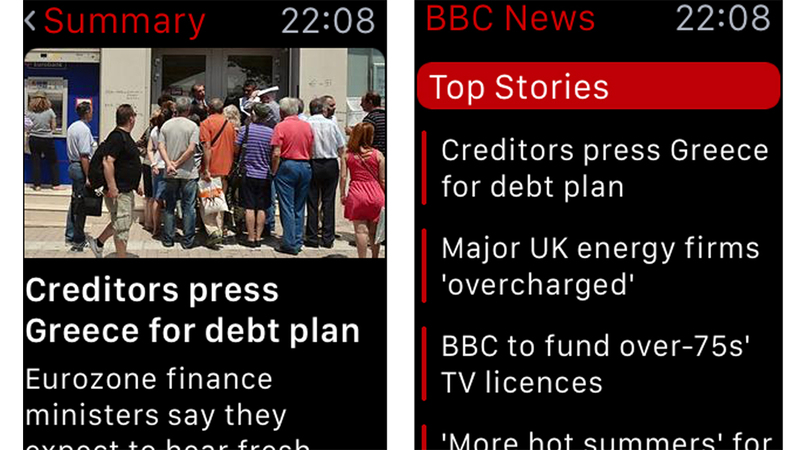 Of course, bigger screens such as phones and, you know, TVs are best for expansive looks at the news, so the Watch&apos;s little face is reserved for headlines and photos with BBC News. These appear in Glances and tapping on one takes you to a very slightly fuller version, and lets you access the other headlines. 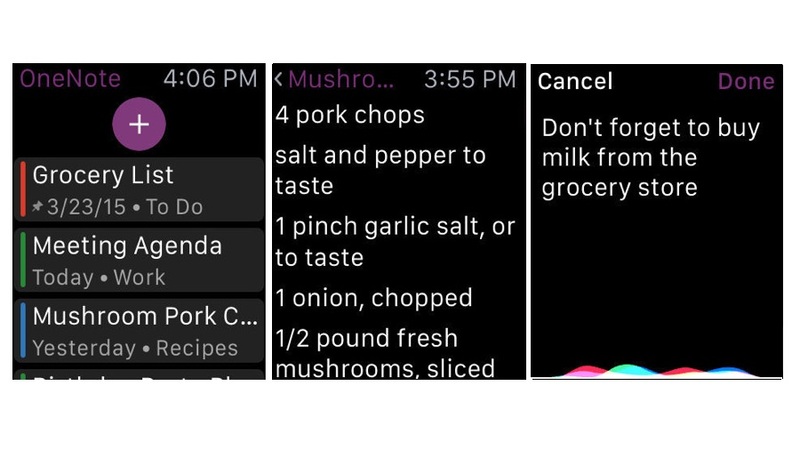 The apps we tend to love the most are the ones that solve real-world problems, and PCalc falls into that category. Yes, it&apos;s a fantastically useful calculator and scientific calculator, but much more importantly it prevents fisticuffs in restaurants. That&apos;s because of its handy bill splitter. 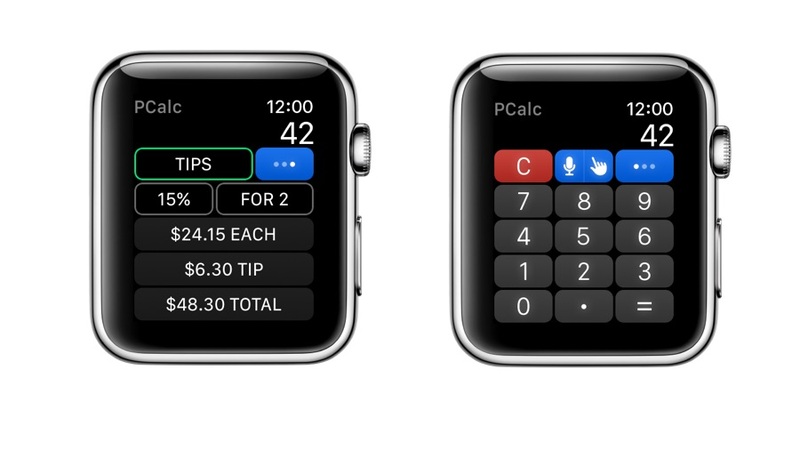 Simply tell it how much the bill comes to, how many people are paying and how big a tip you want to leave, and the Watch app calculates how much each person should hand over. 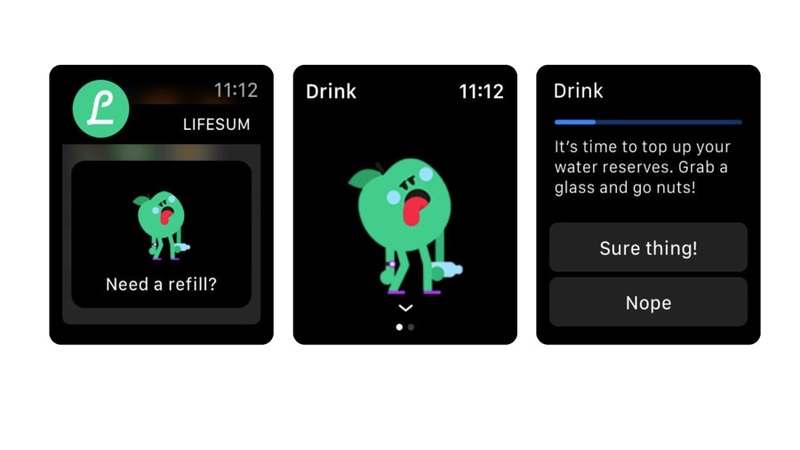 It supports watchOS 3&apos;s Scribble feature too, so you don&apos;t need to dictate or tap on a tiny keypad if you&apos;ve downed that second bottle of wine. 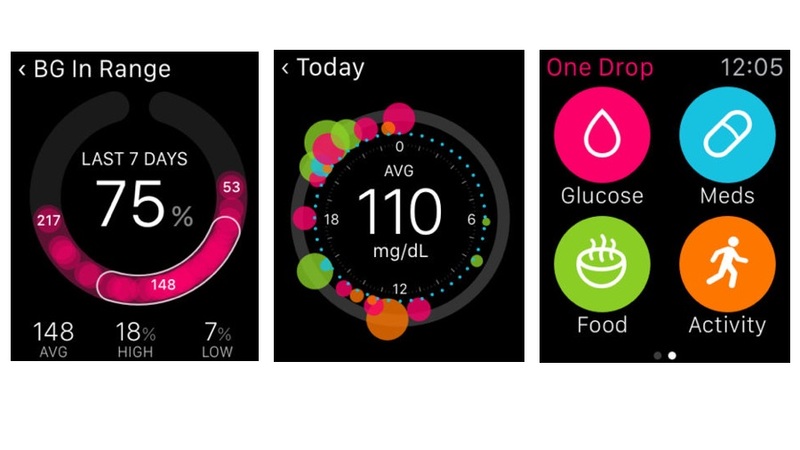 Alternatively you can use the Digital Crown to enter the figure in the tip calculator. 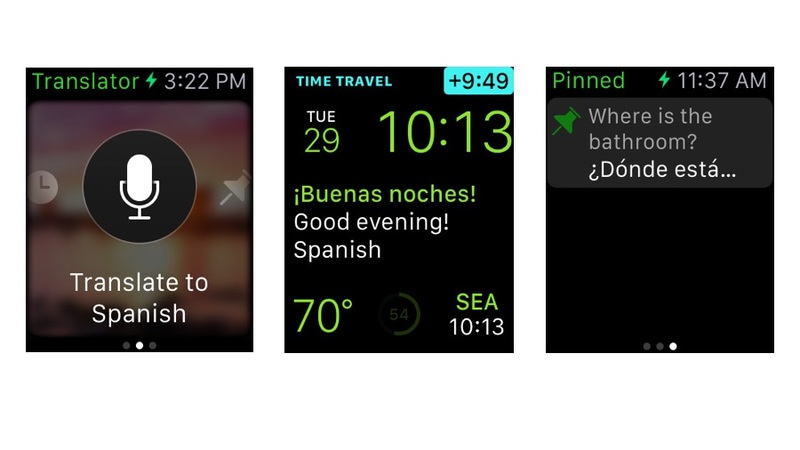 That&apos;s not all the Watch app can do, though. 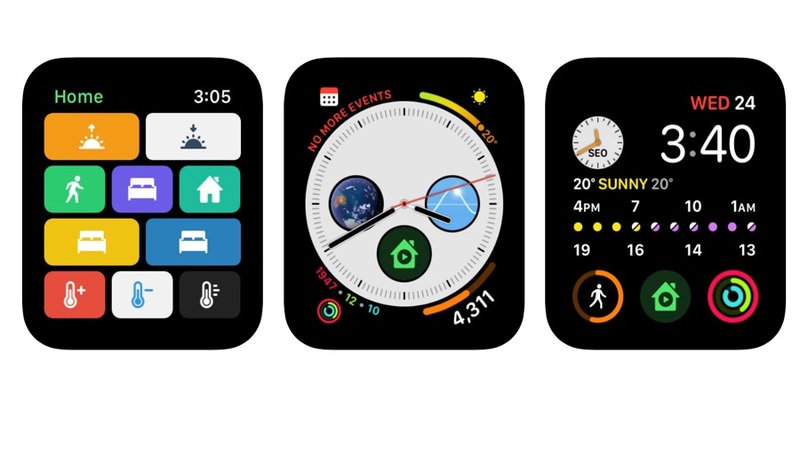 It includes a converter for distances and other measurements, and if you Force Touch the app you&apos;ll see a Send To iPhone icon as well as the clear and undo buttons. 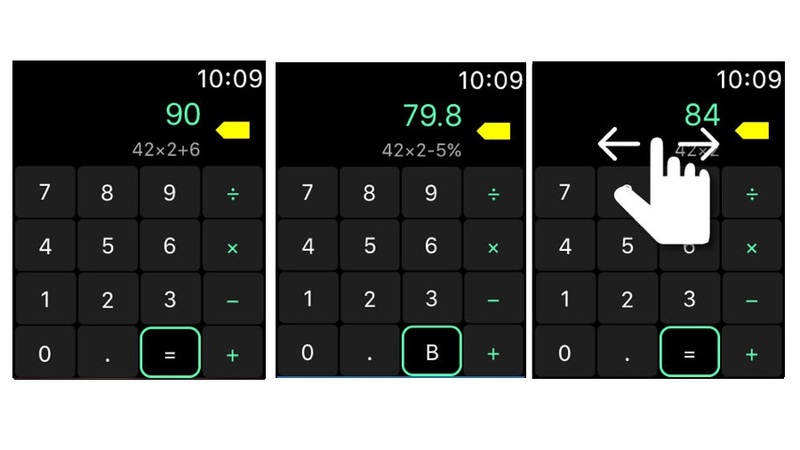 And on the iPhone the main app is a great tool for serious calculating (and quick sums: there&apos;s a mini-calculator if you Force Touch the app icon). It&apos;s not the cheapest calculator app, but it&apos;s worth the money. 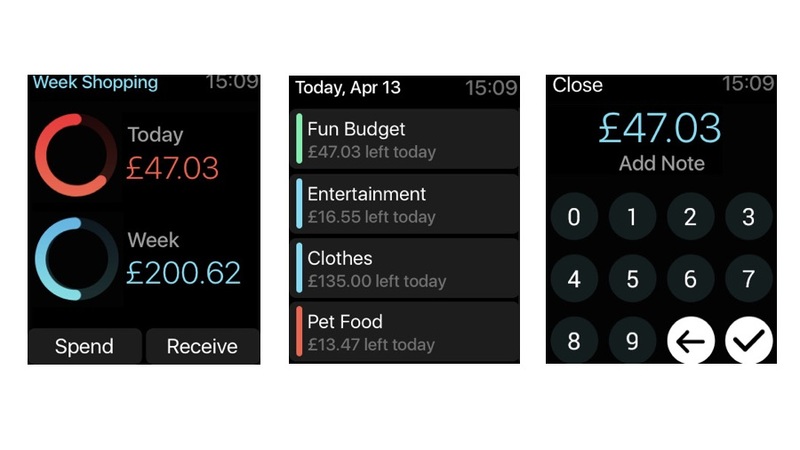 You can set weekly, monthly, bi-weekly, bi-monthly, one-off and custom budgets, track in multiple currencies – great for holidays or business travel – and on the Watch, all you need to do is record how much you’ve spent against a particular budget, so for example if you have a shopping budget you’d tap it, tap Spend, and then enter the total. 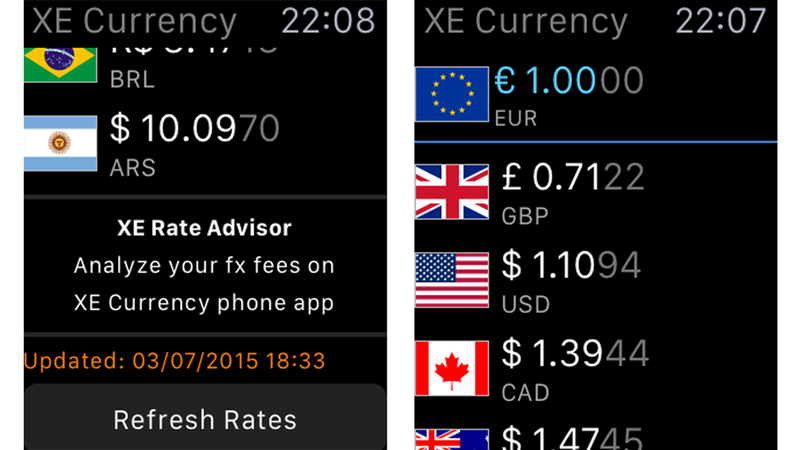 Currency converters abound on the iPhone and XE Currency is one of the best. 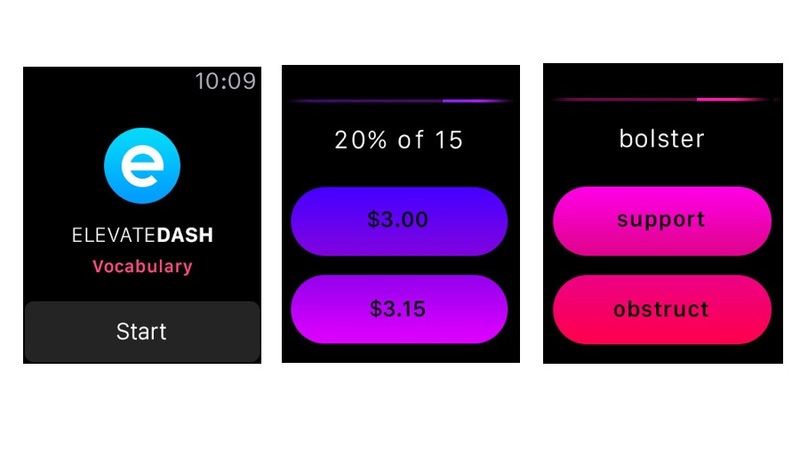 While the Watch version doesn&apos;t have the calculator feature found on the phone, it&apos;s a clear chart of how many euros, Argentine pesos or Australian dollars a British pound buys. 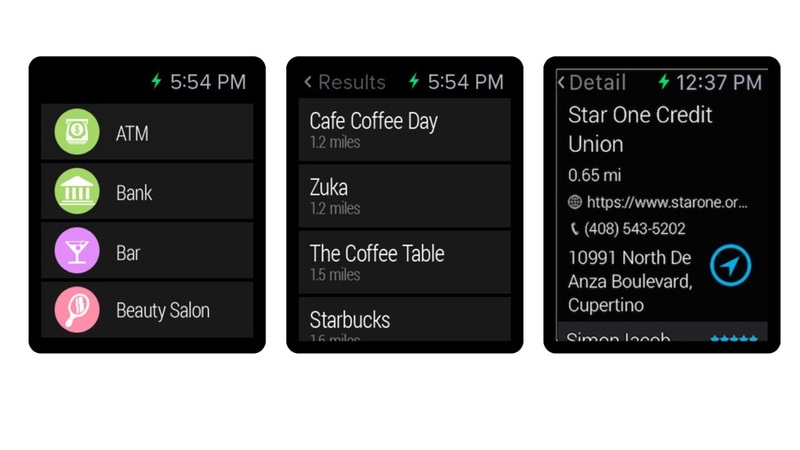 You can add more currencies on the phone version – whatever&apos;s there is replicated on the Watch. 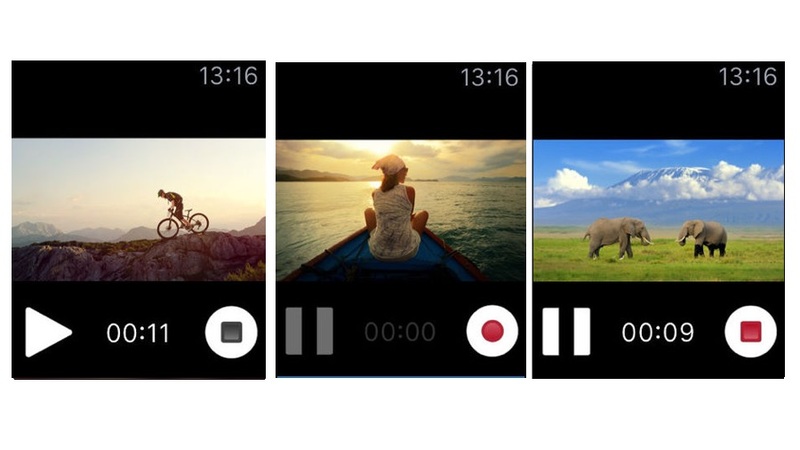 A button at the base of the screen lets the iPhone app control the refresh rates, so you can avoid roaming charges. 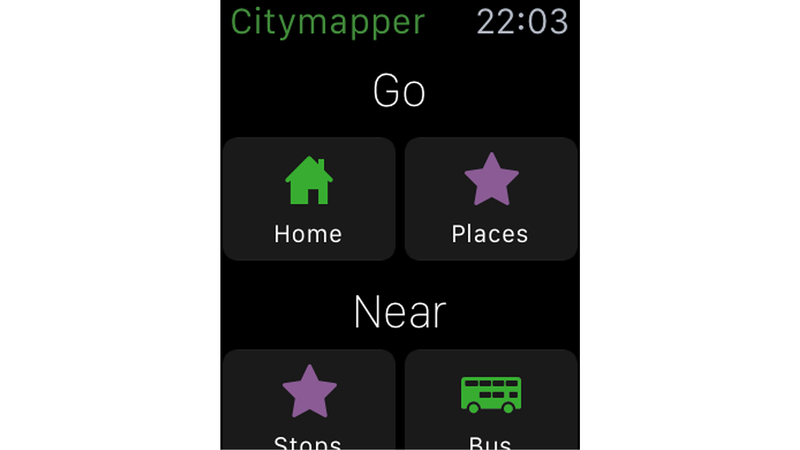 Citymapper is the pre-eminent public transport app, so no wonder it&apos;s an Apple Watch essential. 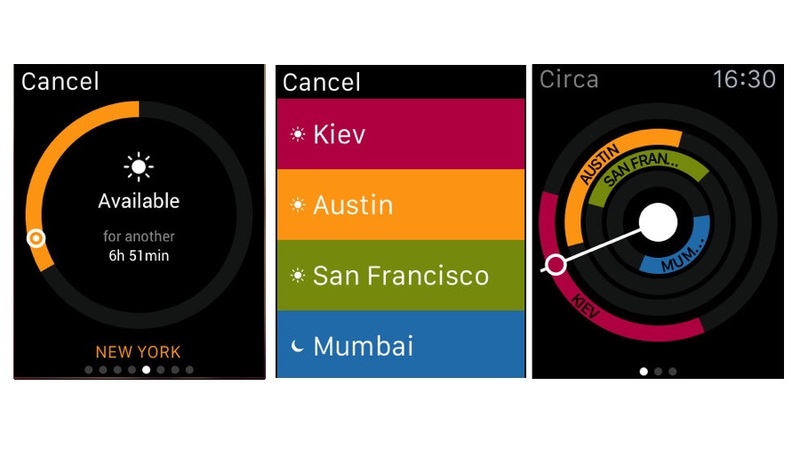 It tells you how to get around selected cities including London, Manchester, Paris, Barcelona and New York. 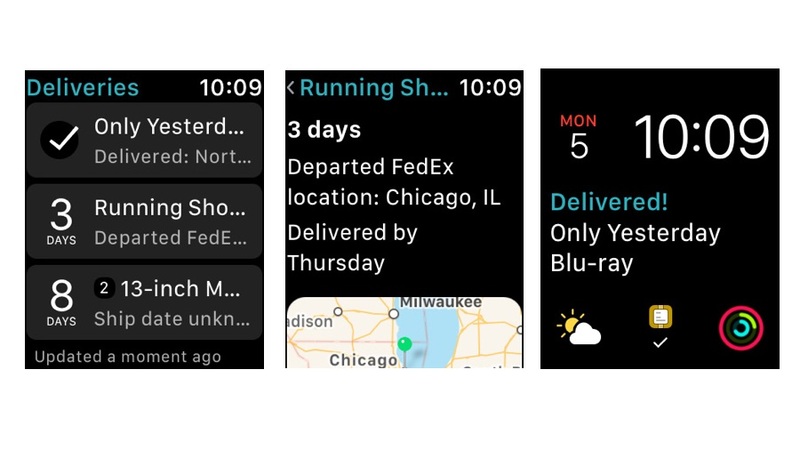 As well as bus, train and subway times and directions, the Watch app even offers cycling routes and bike hire details such as London&apos;s rentable bikes. 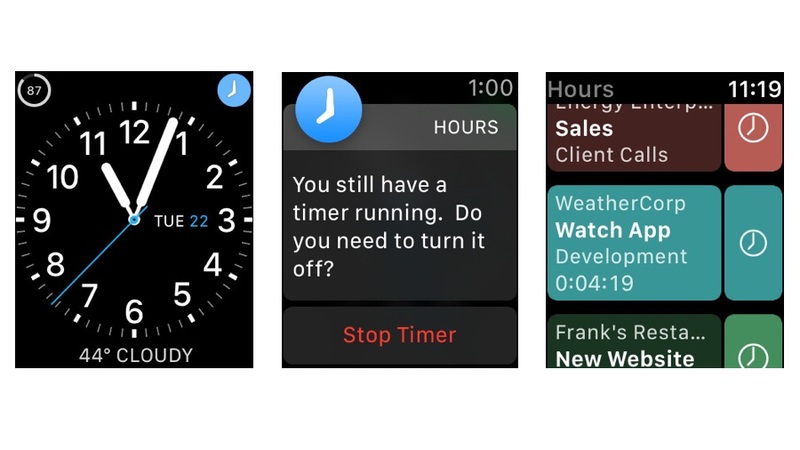 Once you&apos;ve set up the journey on the phone, step-by-step notifications will appear on the Watch screen. Public transport tends to bring out the best in designers – think the simple genius of the London Underground map or the colorful signage on the New York subway – and that’s definitely the case here. 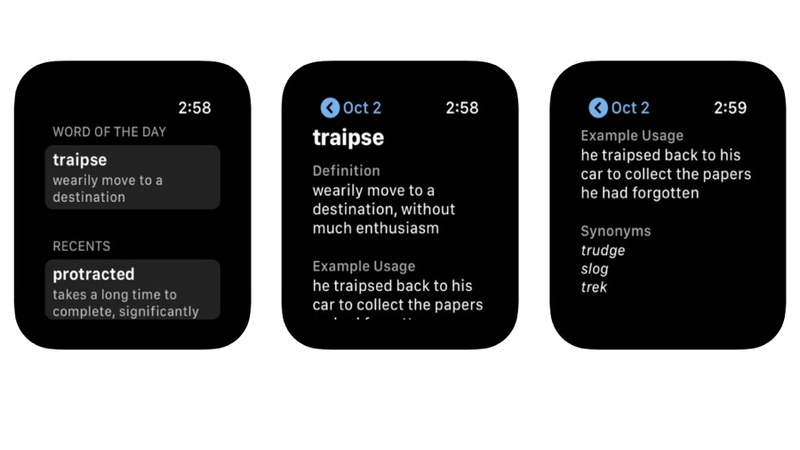 We refer to the Hitchhiker’s Guide to The Galaxy in another entry, and Microsoft Translator is the closest we’ve come to its Babel Fish – a fish you stuck in your ear to translate the universe’s many languages. If you sign up for the $1.99/£1.99/AU$2.99 monthly premium subscription you get access to worldwide sky tours that you can save for future use – for example if you’re planning to visit a particular location in the near future. Tapping on the appropriate option takes you to a list of venues, but instead of just filtering by distance the app also filters by Foursquare user ratings – so a rating of 9.5 that’s 500m away will appear below a 9.7 that’s 100m further. 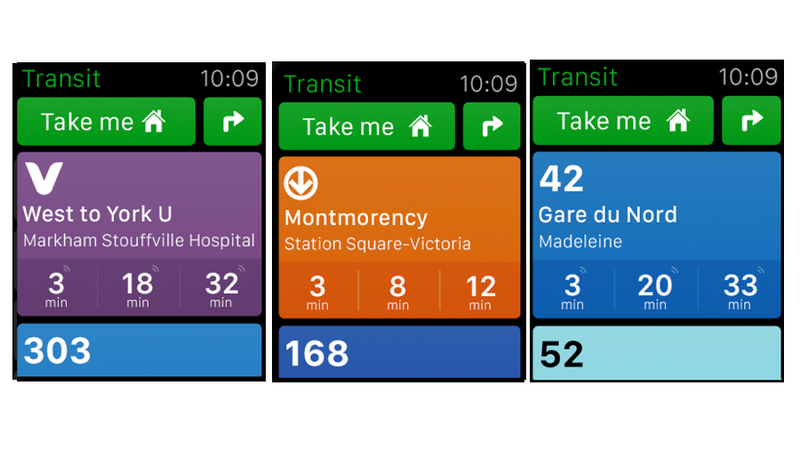 Like Citymapper, ETA will help you get somewhere. The title refers to its front-and-centre information. You add a location on the iPhone and save it. 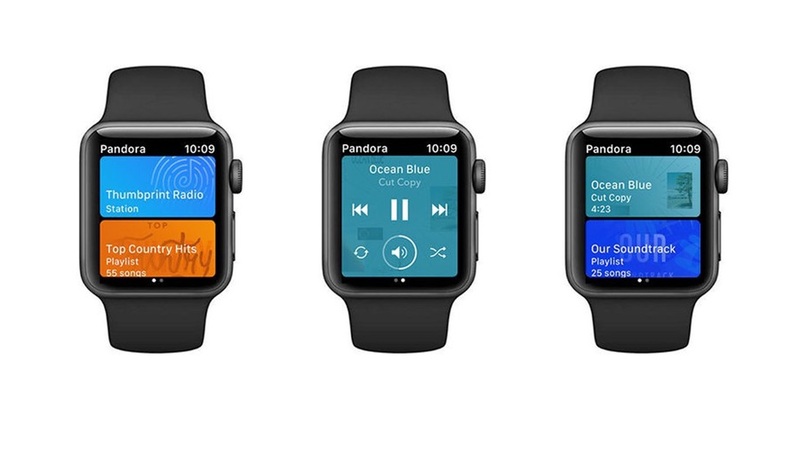 Then it&apos;ll give you timings for driving, walking or taking public transport. 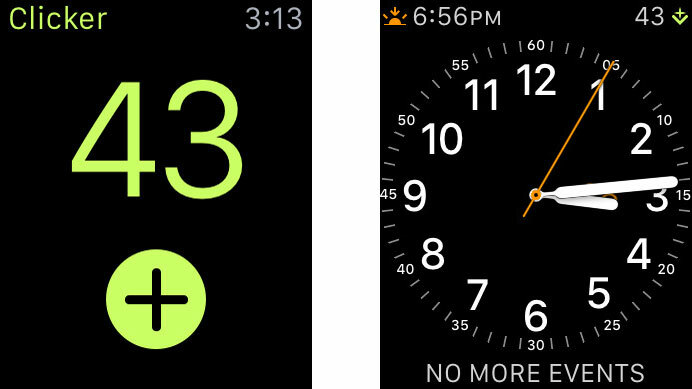 Some watch faces allow it as a complication, where it&apos;ll show the time it&apos;ll take to your top saved route. 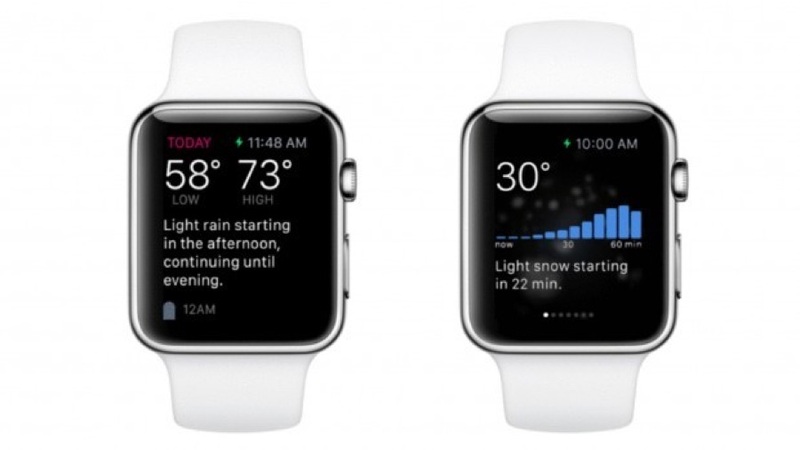 It knows what traffic is like so allows extra time for a drive in rush hour, say. 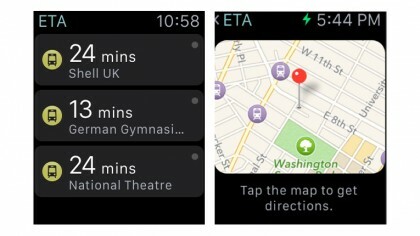 On the Watch app you tap the chosen saved destination and it&apos;ll take you through to Maps for directions. 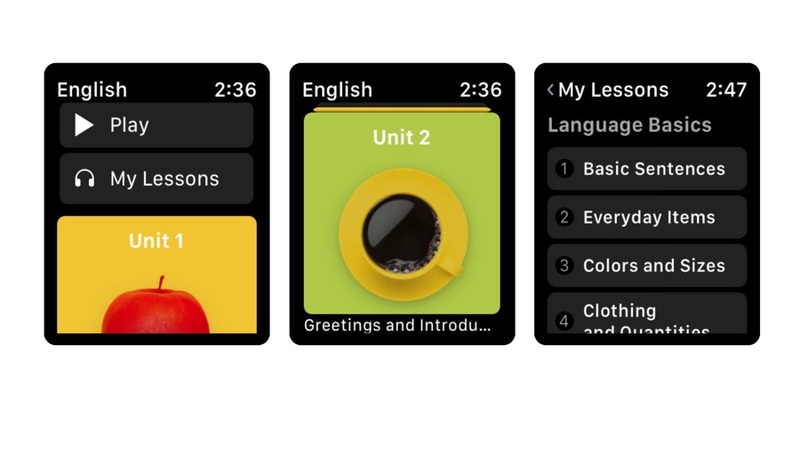 This powerful translation app works in 90 languages. 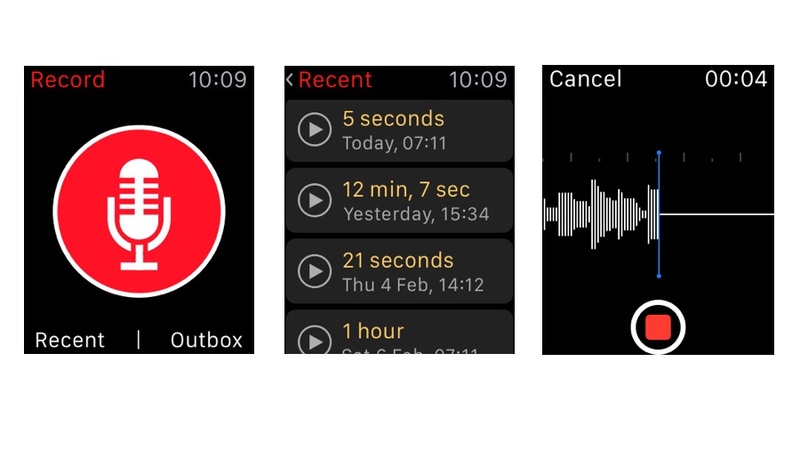 It&apos;s free but for full Watch use you&apos;ll need the $6.99/£6.99/AU$10.99 in-app purchase which offers voice recognition and unlimited translations. 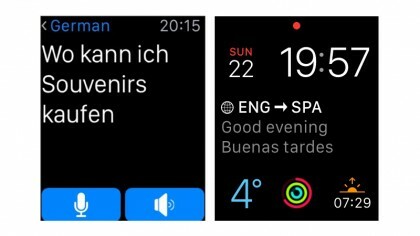 A Watch complication means you can tap on the screen to start translating straight away and if you&apos;ll let it, iTranslate will use your location to figure out what language it should be translating to or from. 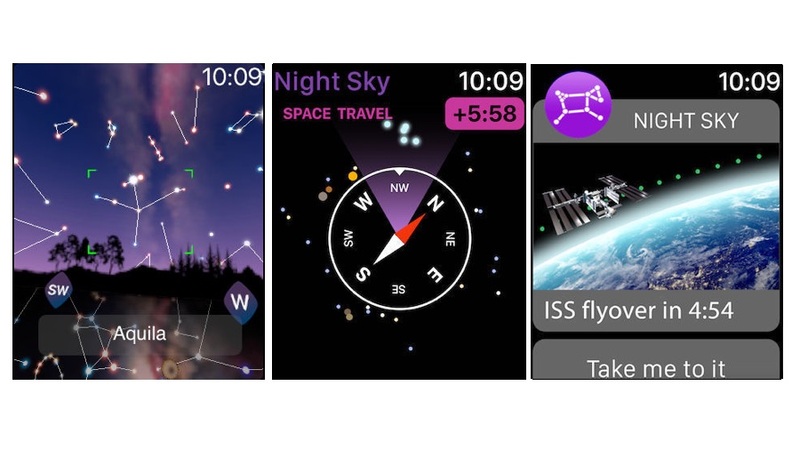 What Dark Sky does seems very simple, but is actually very clever. It tells you what the weather’s going to do – not in a vague sense, but as in telling you that it’s going to bucket down in ten minutes and that the storm won’t stop for an hour. It’s not all sunshine and flowers, though. 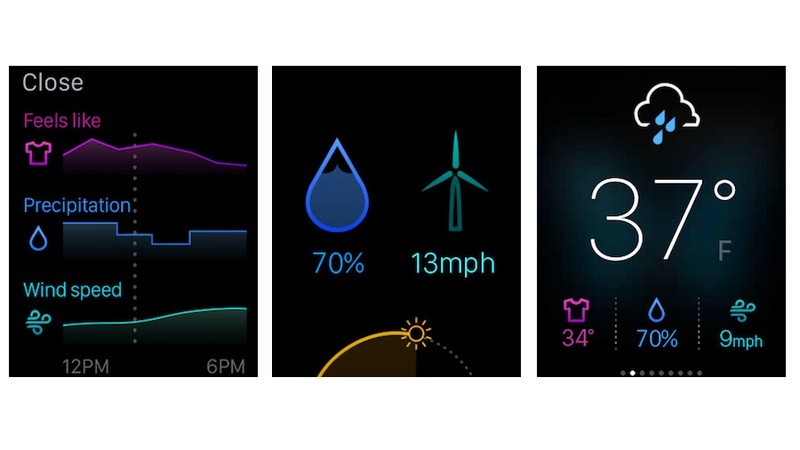 The host app is pretty big – 137MB, which is on the large side for a weather app, given that the UK Met Office app is 80MB and Dark Sky 20.8MB – and the accuracy of the weather forecasts seems to depend on where you live. All you need to do is send your travel confirmation emails – flights, hotels, car hire – to TripIt and the app will automatically organize them and tell you the information you need when you need it. 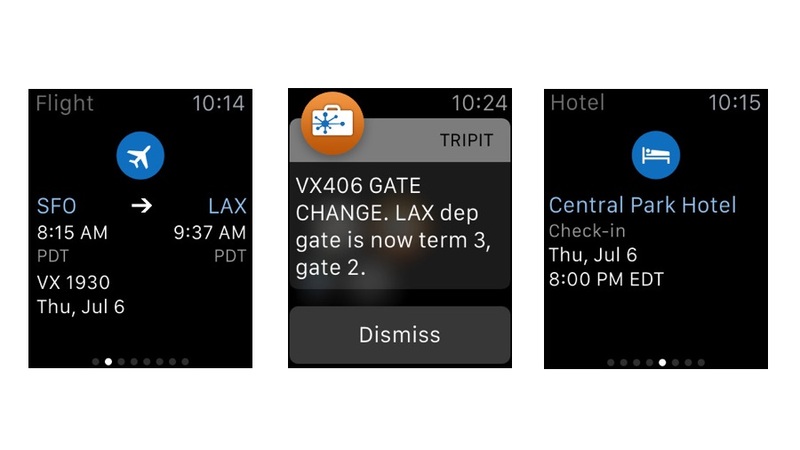 The phone app stores your itinerary and key documents, and the Watch app lets you know what’s important right now – so if you’re about to board a flight you’ll see the flight number and departure time, if you’re checking in you’ll see a booking reference and so on. 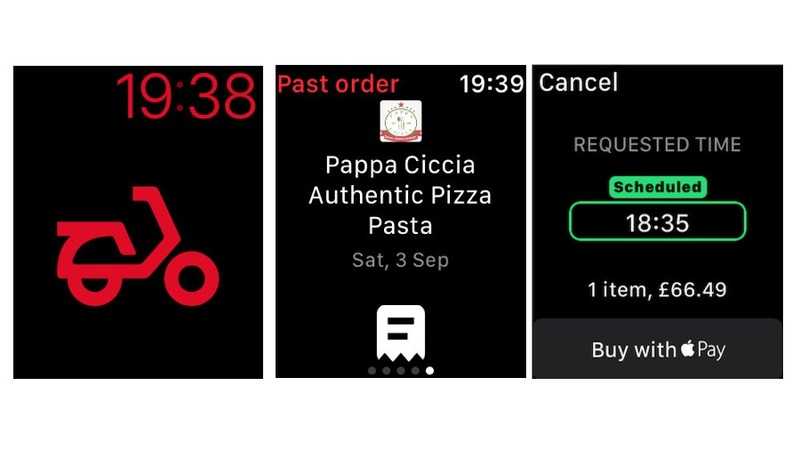 The Just Eat app is UK-only – if you’re in the US, try the Domino’s Apple Watch app instead – and it enables you to choose, order and pay for takeaways from the comfort of your wrist thanks to Apple Pay integration. 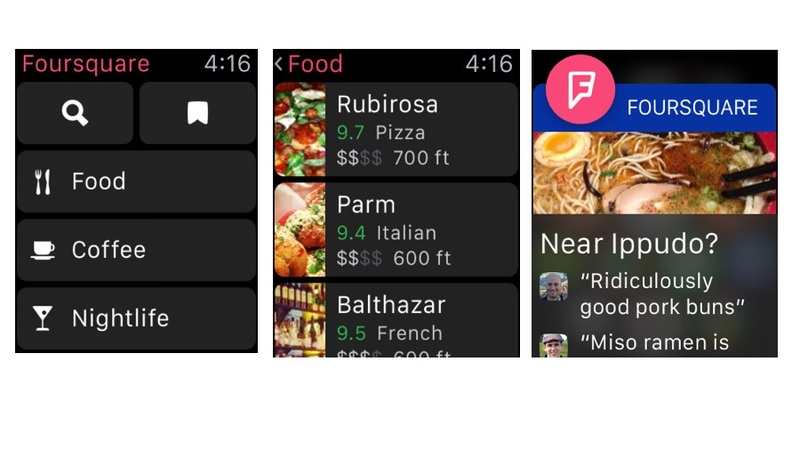 You can also choose to collect instead of having the meal delivered, but let’s be honest: if you can’t be bothered getting your phone you’re hardly going to want to go outside to collect your food – although if you’re driving it’s handy to order a pickup with a few taps. When you open it you’ll see just four icons: Restaurants, Bars, Coffee & Tea, and Hot & New. Tapping on the one you’re interested in then shows you a list sorted by distance, with the all-important star ratings and average cost listed on top of a photograph. 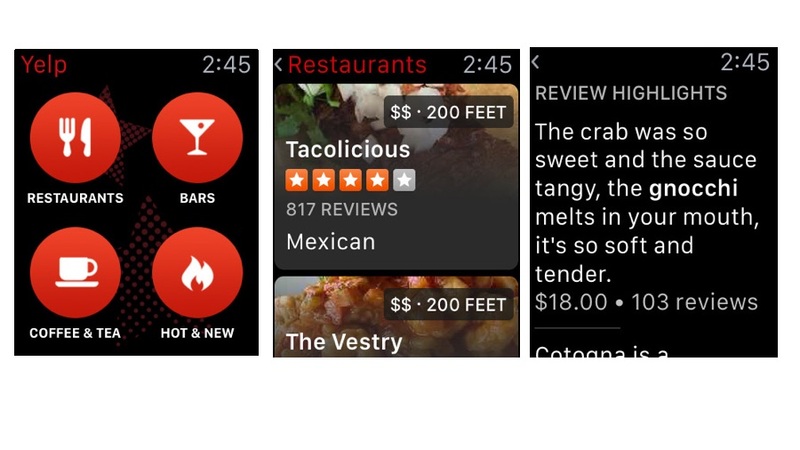 Tap again and you’ll get the opening hours and a map, and of course you can read the reviews too – that’s what Yelp is all about. 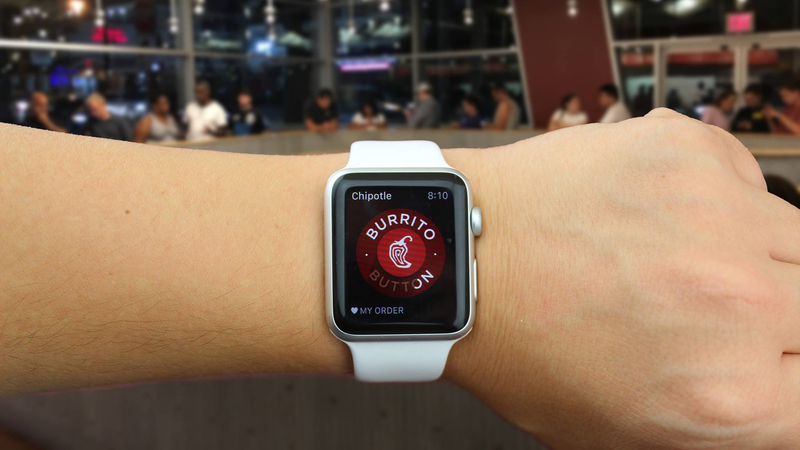 I sometimes wear my messy Chipotle burritos while scarfing down the healthy-ish Mexican platters, but I&apos;m also purposely wearing Chipotle on my wrist to send order to the store via my Apple Watch. 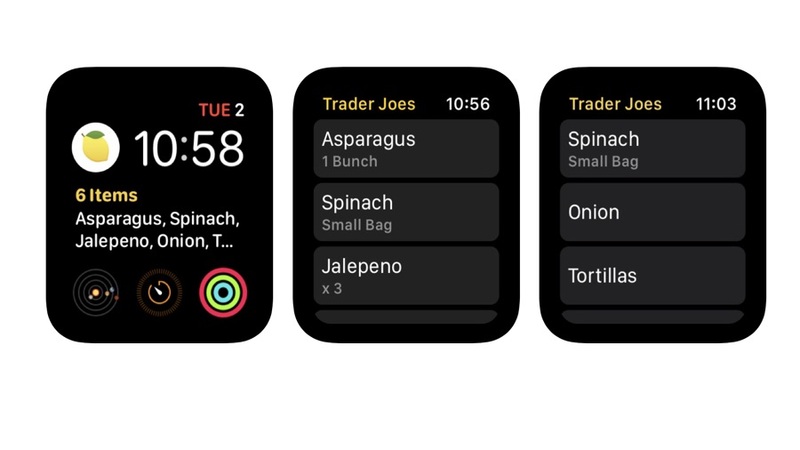 While it&apos;s not the most groundbreak app, I can create a one-tap order with the Chipotle Apple Watch app and have my meal ready to go while I&apos;m on the treadmill at the gym next door. It&apos;s as efficient as it is calorie rich. The best part is, I get the skip the always massive line.